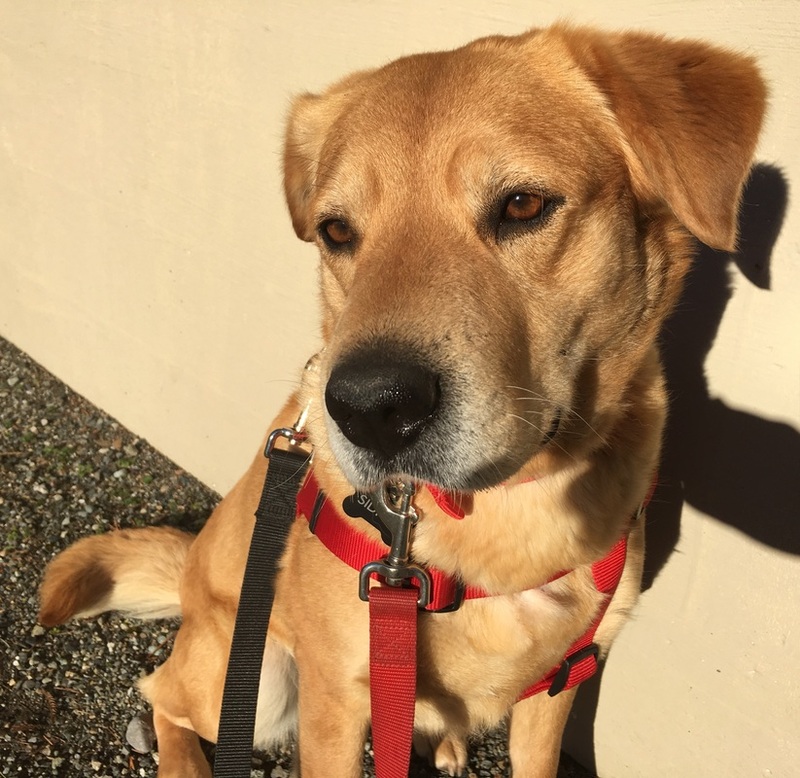 Useless Bay Sanctuary has helped more than 100 dogs each year since the founding of the nonprofit in August of 2013. Here are profiles of some of them. Please view our adoptable dogs on PetFinder. Linus--adopted. 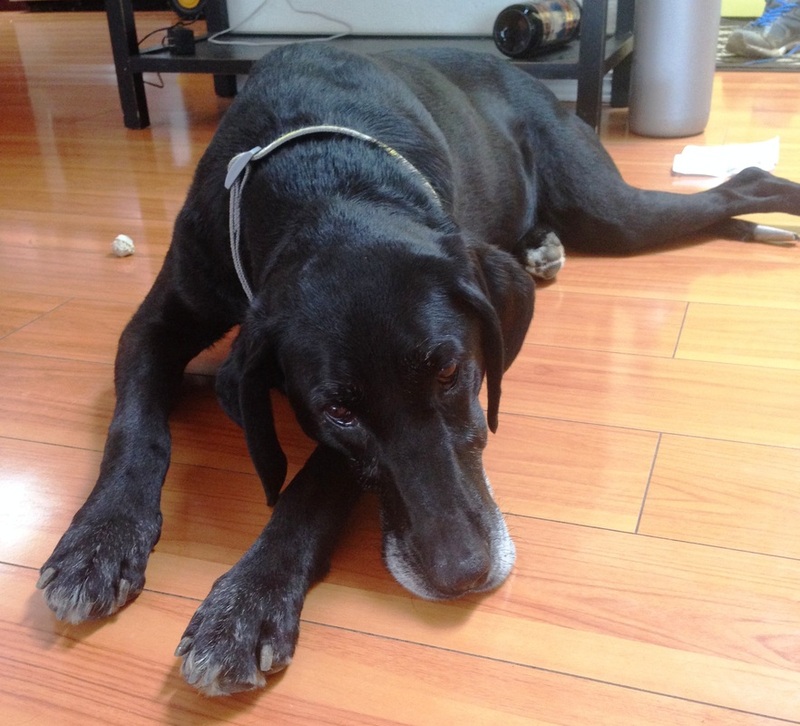 Linus was roaming as a stray, and UBS volunteers were able to help him. Linus came from a California shelter. Perhaps a year ago, Linus was injured, probably hit by a car, and his pelvis was fractured on one side. It healed wrong. 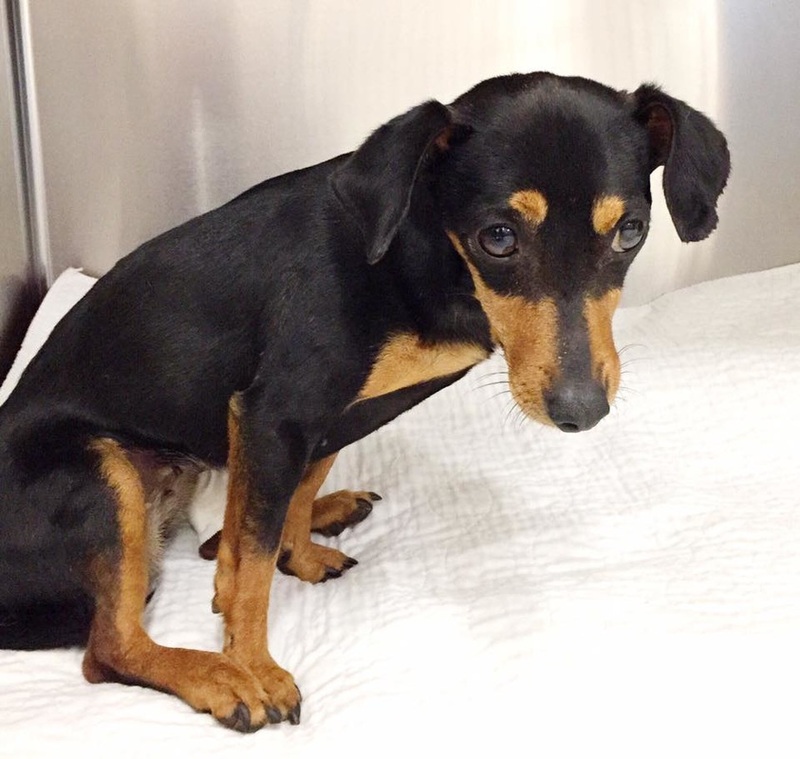 Under the care of UBS, Linus will receive surgery to correct this problem and reduce his pain. Hope--in foster. 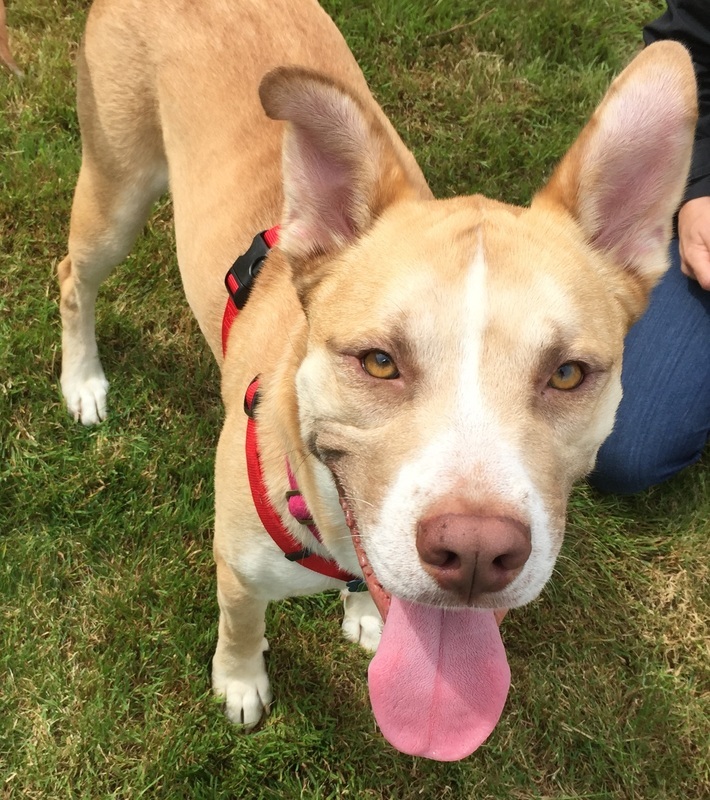 Hope was running around as a stray in Mukilteo. After she went into a humane trap, UBS searched for her original family but found none. Hope was very thin, seeming to indicate she had been on her own a long time, and she is back to a healthy weight now. She will be spayed soon, and then she will be available for adoption. 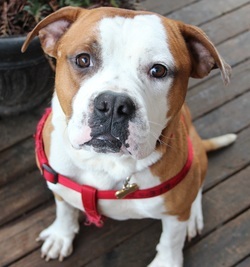 Dudley--adopted. 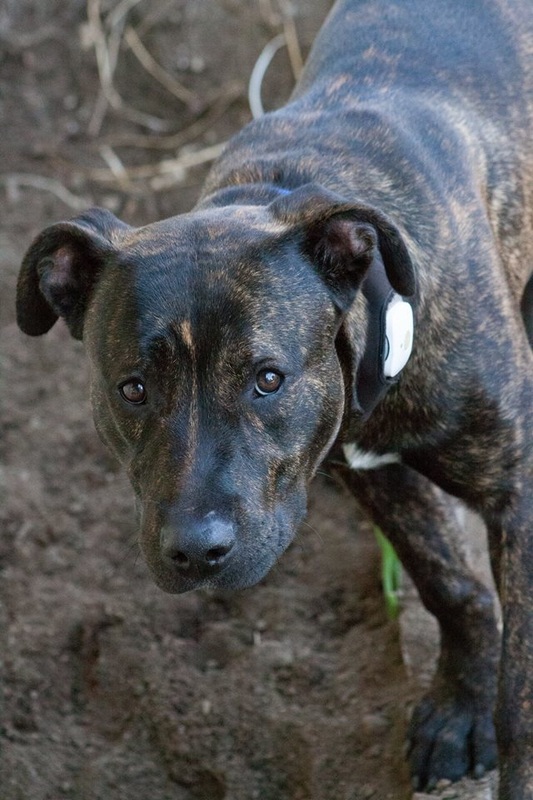 Dudley is an energetic young dog, eager to learn. He needs stability and consistency, which he has not had so far in his life. He was found in Everett, with an old bite wound. 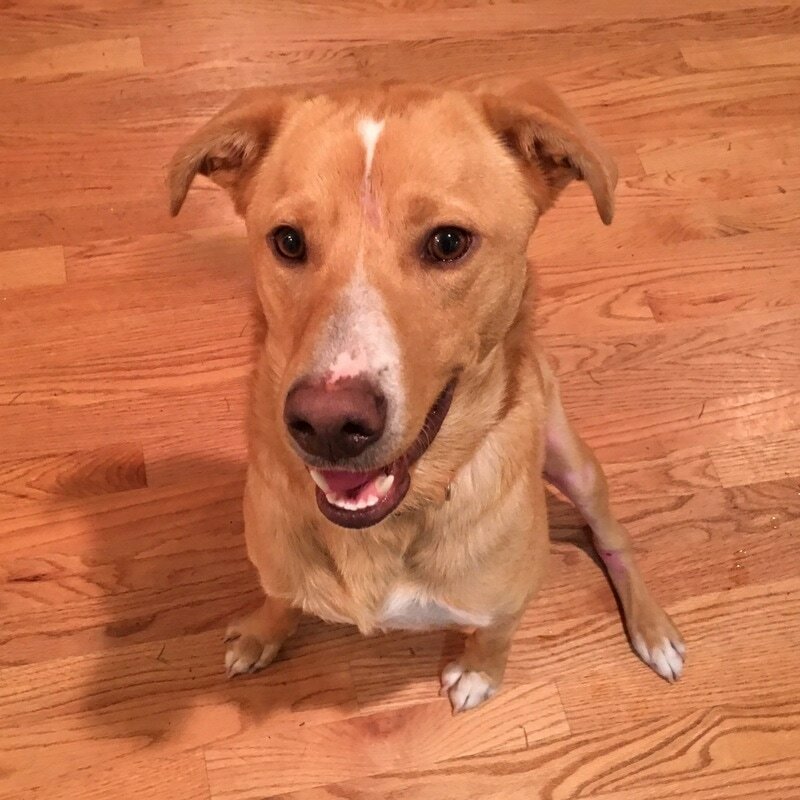 His injury is healing, and his previous owners chose not to claim him. 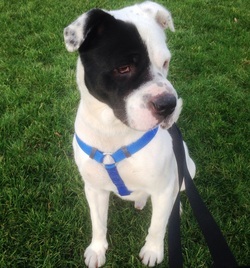 Dudley gets along great with some dogs, but may be overwhelming for other dogs. So far, he has ignored cats. Please contact us if you would like to give Dudley a forever home, and continue his training, to help him become the great dog we know he can be. Salma--adopted. Salma was wandering stray up in the mountains. UBS volunteers were able to trap her in a humane trap quickly, but an extensive search for her previous family turned up no leads. She has found a great home where she is spoiled and loved. Tino--adopted. Tino was born August 14th, the day after his mom, Salma, was trapped in the mountains. Since we were unable to find Salma's original owners, Valentino became part of the pack of Viktor and Sky, previous UBS dogs. Tino is in training to become a search dog. He has the intelligence, interest, and energy to be a great search dog some day. 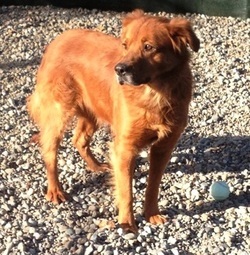 Rusty--adopted. 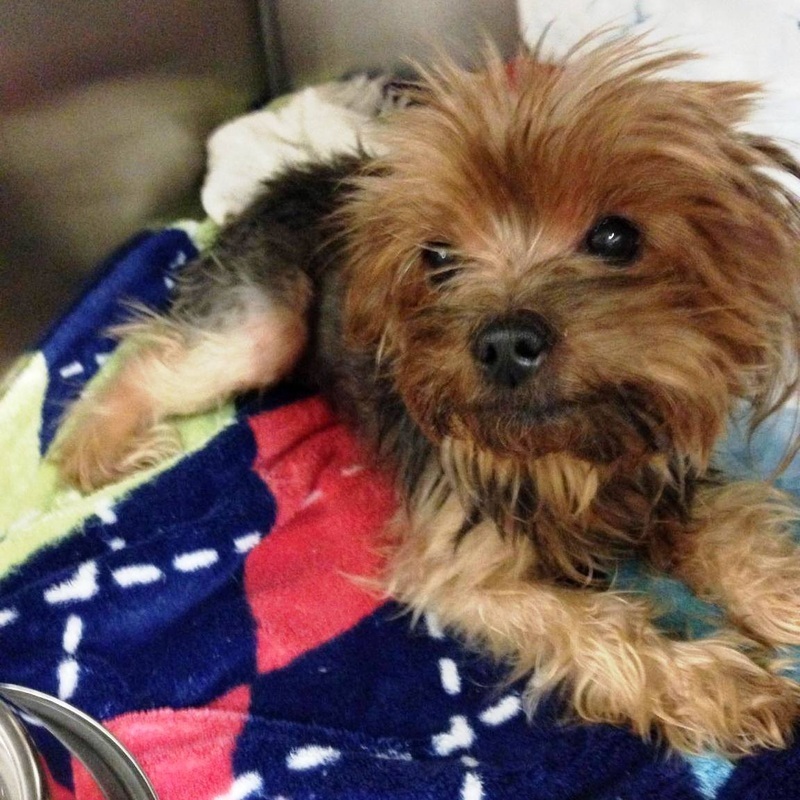 Rusty was found by the side of the freeway, unable to move because of two broken legs. UBS agreed to sponsor his emergency care, and donors gave $9,000 for his urgent care and surgery. Rusty has almost fully recovered, and gets around very well. Jack--adopted. 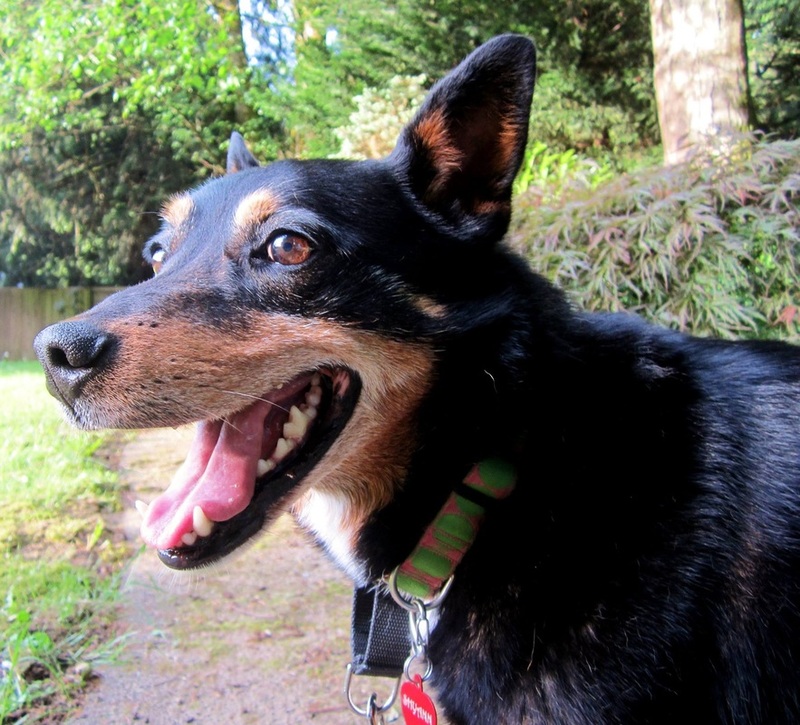 Jack was roaming Woodinville, where witnesses saw him hit by a car. Fortunately he was not badly injured. Jack's previous owners were unable to keep him. He is a good dog, about 10 years old. He has found a great home with a dog buddy. 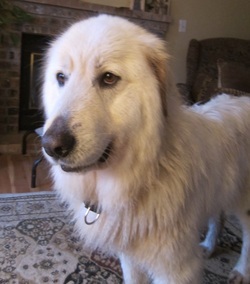 Sidney--adopted. 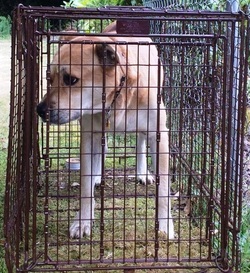 Sidney was trapped in a humane trap in Oak Harbor. She had been wandering for three months. She is a sweet girl, about 50 pounds, maybe 3 years old. She has a few issues from her time running wild, like anxiety about passing cars. More about Sidney here. Felicity--in foster. Felicity was found roaming near Fall City. She appears to have had a rough life so far, and we are getting her some overdue veterinary care. 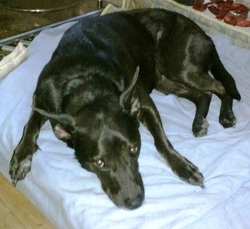 She is happy and safe in her foster home while we continue to search for the original owner. Ajax--reunited. Found wandering in the street, I knew he was too clean to have been wandering long. Knocking on a few doors got him back to his family, who hadn't even realized that he was missing. Napoleon--reunited. Found wandering in Burien, he was taken home quickly due to having ID tags on his collar. Victor--adopted. Victor came from a California shelter. Shortly after he arrived in Washington, he escaped, and he ran loose from Everett to Seattle for five weeks. UBS volunteers invested hundreds of hours into his capture. He is safe now, but he is having trouble adjusting to domestic life again. He is about five years old. Cady--available for adoption. Cady is now known as Luna. She needs a forever home without any other pets, or small children. Luna is 7 years old, 12 pounds, spayed, microchipped, and up to date on shots. She becomes very attached to one person, and wants to sit on someone's lap most of the day. 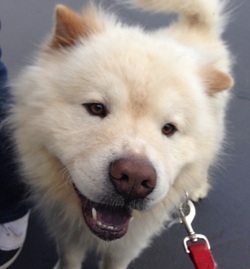 Jackson--adopted. Jackson first came to the attention of UBS when he was seen in Heritage Park in Kirkland. 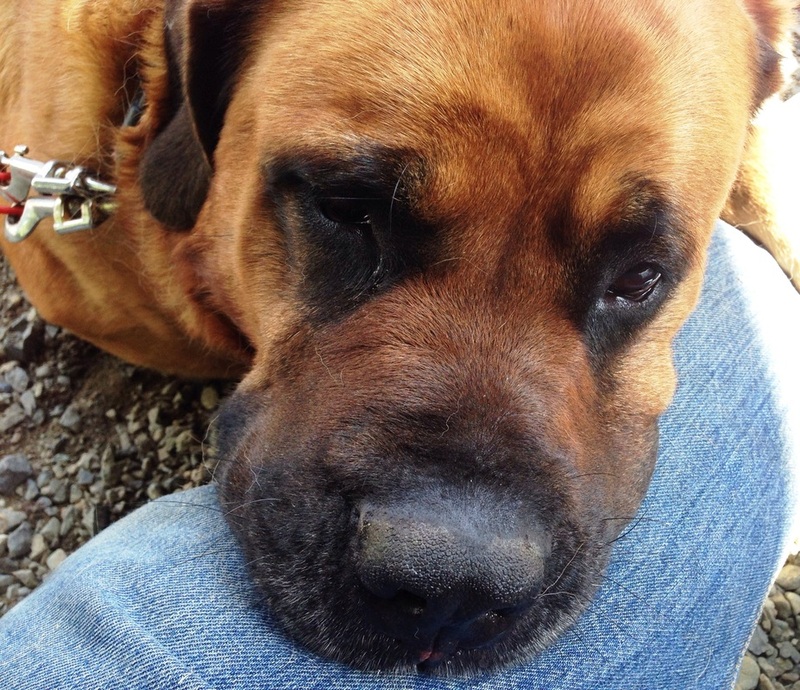 He ran over 20 miles and ended up in Redmond, where UBS volunteers caught him in a humane trap. We searched for his owners, but they never came forward. Please see Jackson's page. Deuce and Spaz--adopted. Deuce first came to UBS as a stray over a year ago. Deuce was placed in a foster home, and then adopted into a permanent home. Deuce immediately bonded with Spaz, a female black lab one year older. They are best friends. 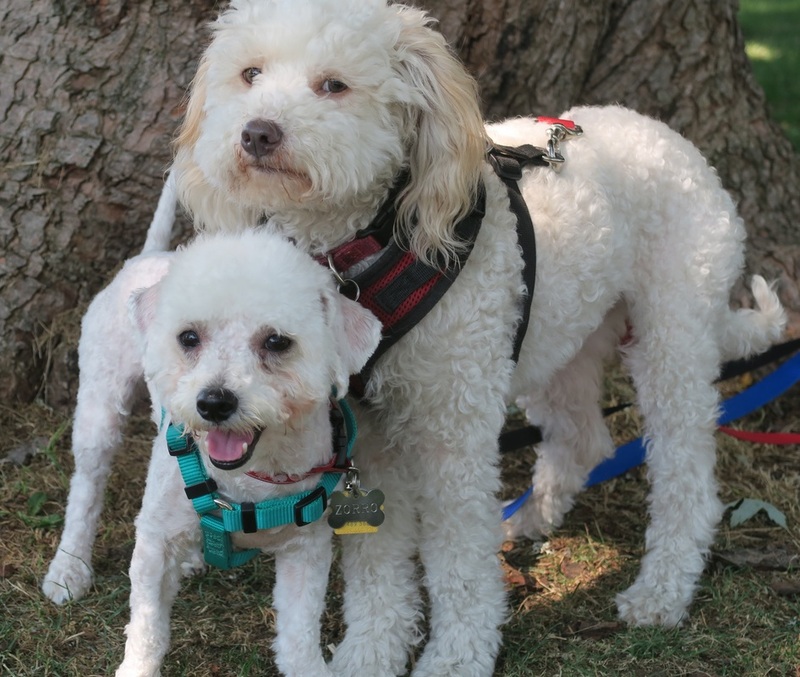 Unfortunately, the owner of Deuce and Spaz is facing challenges in health and housing, and he could no longer give these dogs the kind of life they deserve. He asked UBS to help find them a new home. After an extended search, we have finally found a great permanent home for Deuce and Spaz, and they are happy and safe, and together. Sweetie--adopted. Sweetie was found in Log Boom Park in Kenmore, on July 5th. Please see her story here. We were unable to find her previous family after 45 days of searching. 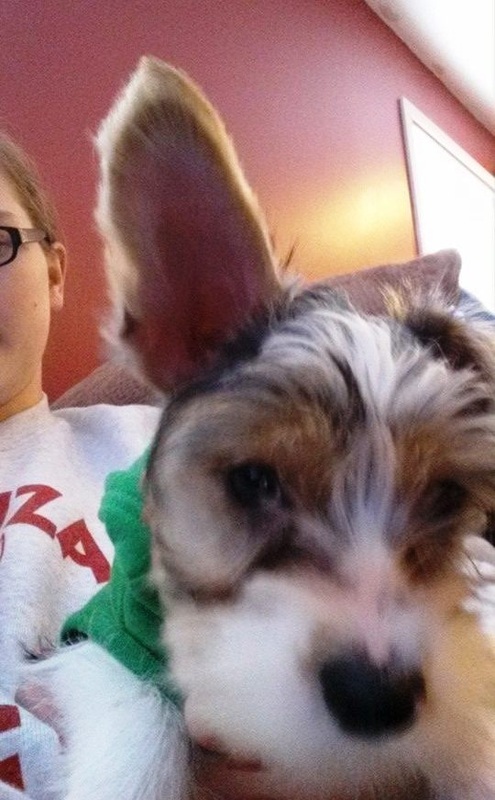 She is a great little dog, about 6 pounds, 6 months old. She gets along with other dogs and cats. Sweetie has gone to a great home where she can be with someone all day long. Marv--adopted. 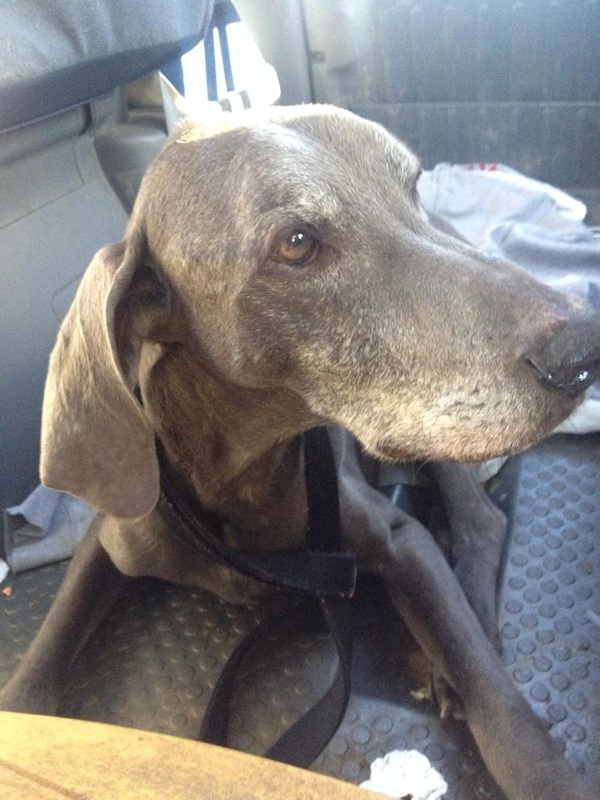 Marv was found in White Center on 1/27/15. No tags or chip. His prior family never came forward. He is a generally happy and cooperative young fellow. He is good with kids and cats. Barney--adopted. 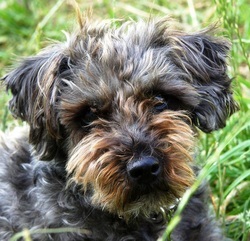 Barney was found living in the bushes in Fife, between a hotel and the freeway. He has found his forever home, where he is loved very much. Penny--adopted. Penny had lived in a field in Puyallup for six weeks, fed by area workers, before UBS volunteers captured her in a humane trap. She is friendly, but a bit shy. We have searched for her previous family for over 30 days, but gotten no response. Stella--adopted. 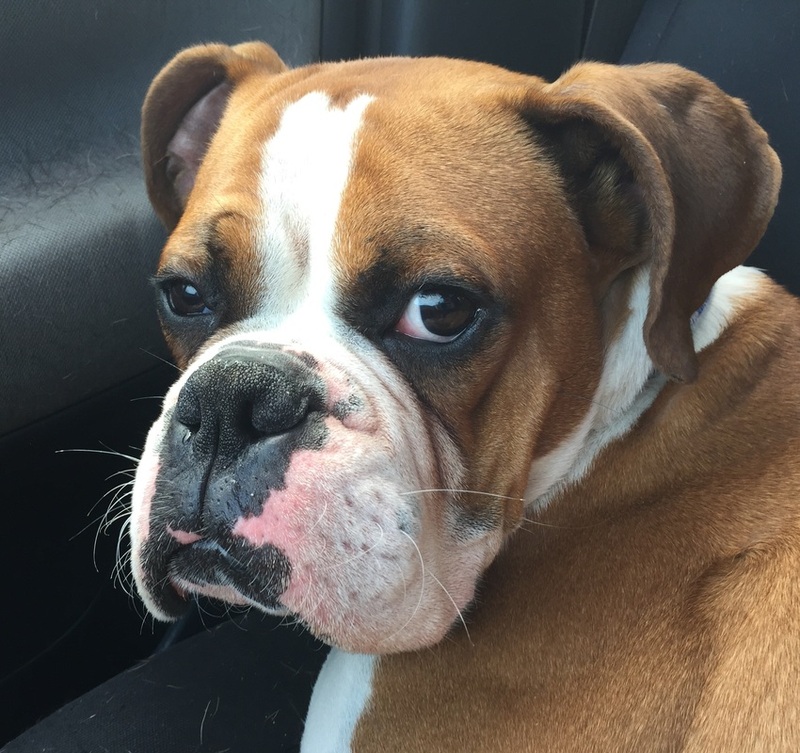 Stella was found wandering near Steel Lake in Federal Way. Extensive efforts to find her family were unsuccessful, and she has now been adopted into a permanent, loving home. 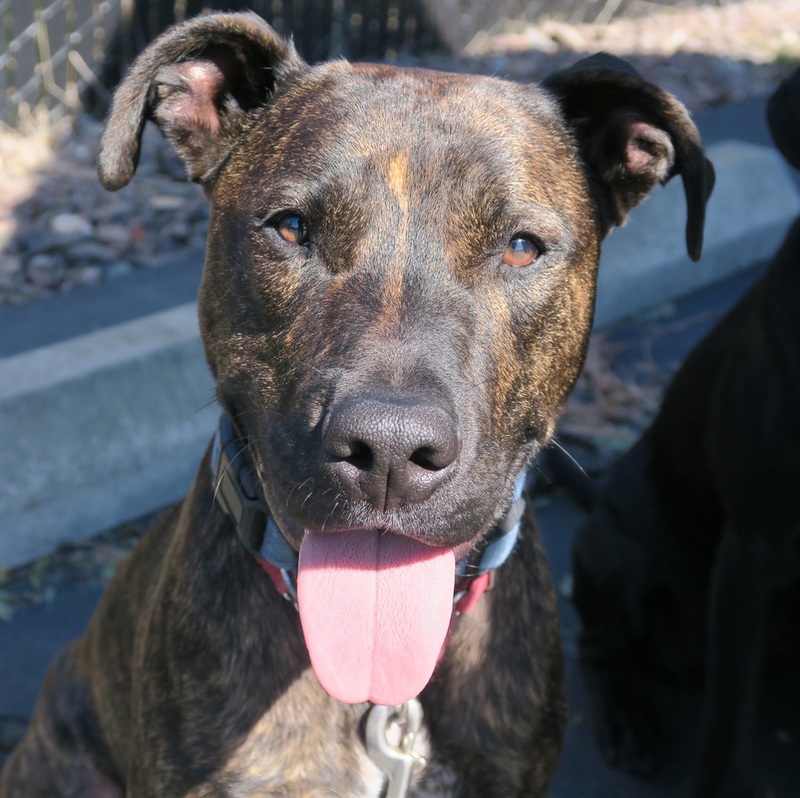 Rufus--available for adoption. 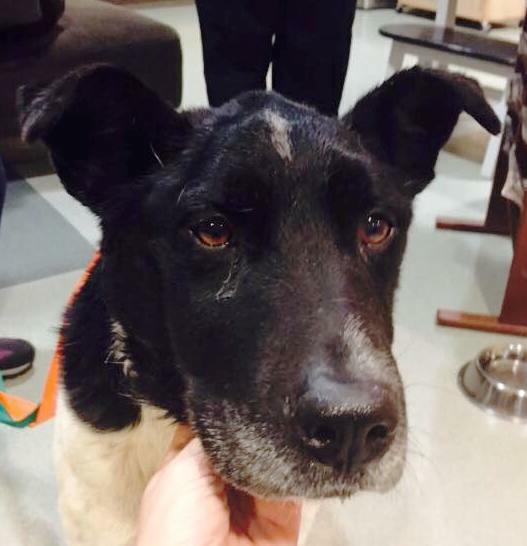 Rufus was found wandering in Tacoma, where he had been hanging around for at least two weeks. Using calming signals, a UBS volunteer coaxed him to safety. 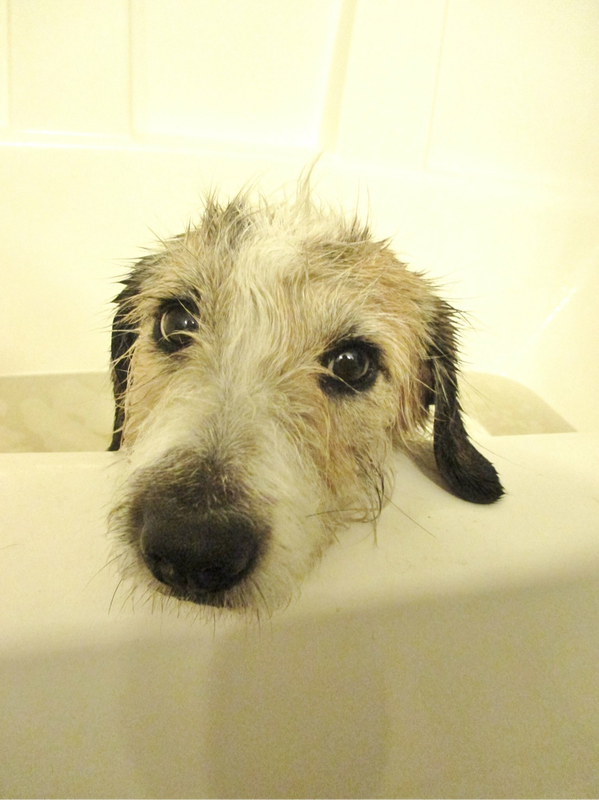 Extensive efforts to find his original family have been exhausted, and Rufus is now available for adoption. Lily--reunited. 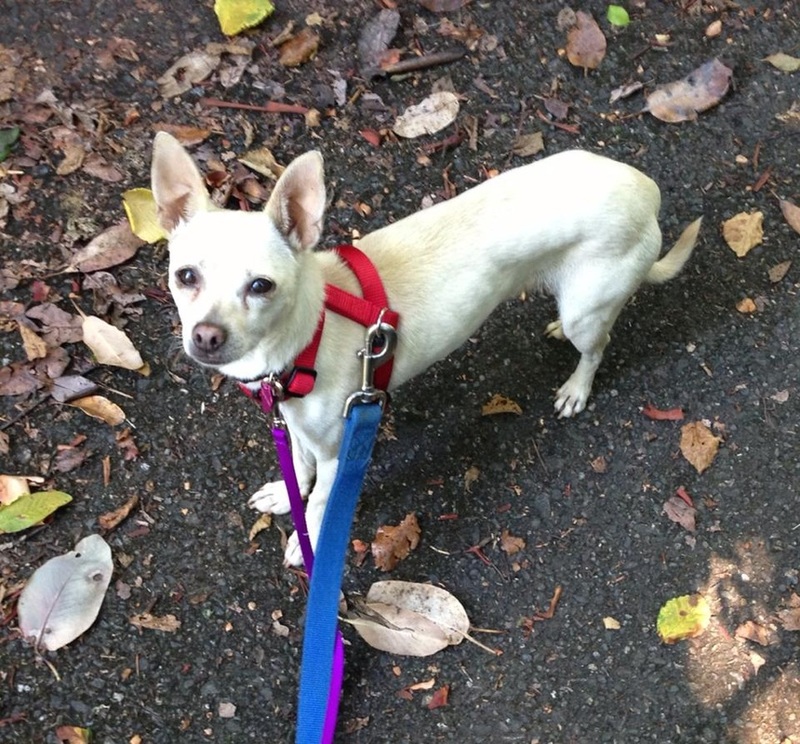 Lily was found wandering in Lynnwood, and reunited with her family within ten minutes. Bella--reunited. 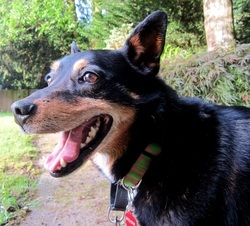 Bella, who we called Millie for a while, was hit by a car in Mill Creek while her owners were on vacation. She had escaped from a pet sitter. She was taken to a vet, with a fractured pelvis, and a rescue organization was needed to sponsor her. 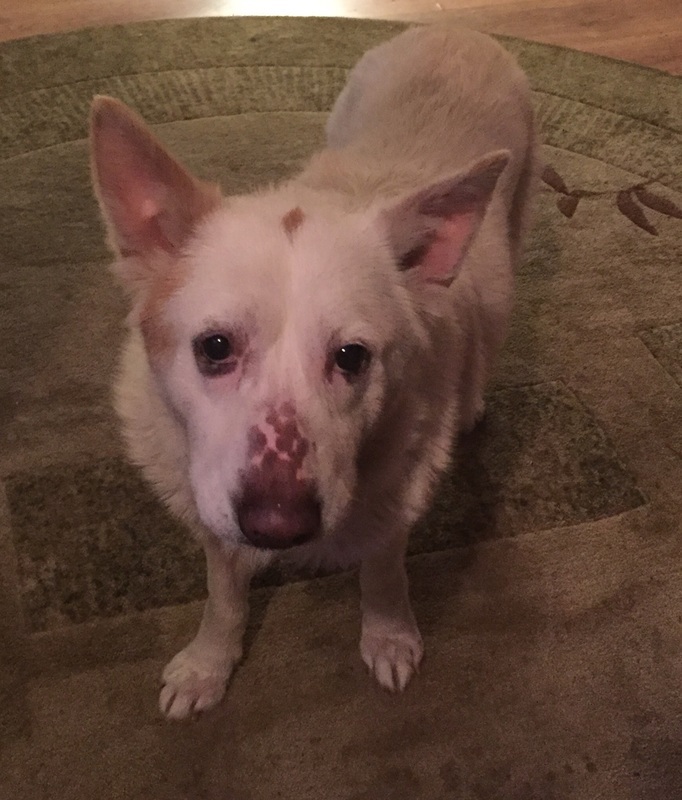 UBS agreed to gather donations and get her the required veterinary care. 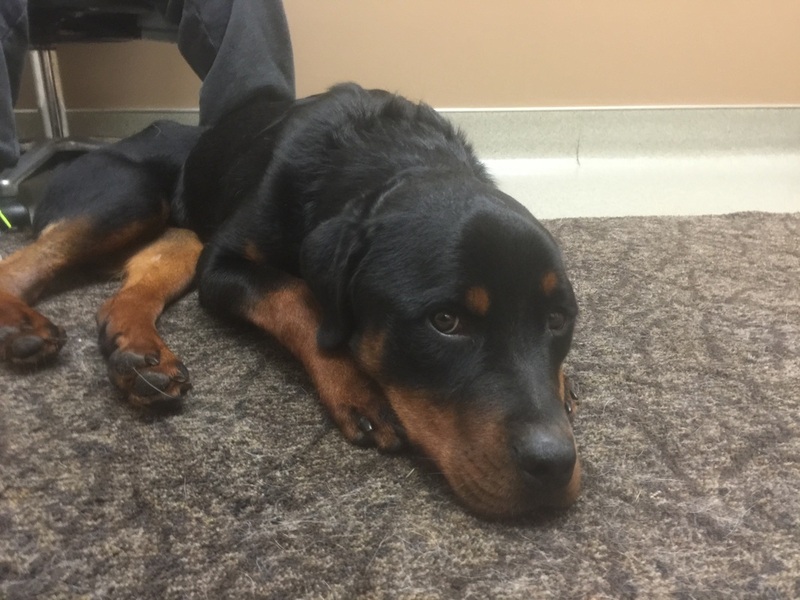 Bella had surgery to repair her fractured pelvis, including a metal plate to hold everything in place. Over 90 donors contributed the $4,430 needed for surgery and emergency care. Bella then went to a foster home. A week after the accident, Bella's family came home from vacation and saw our craigslist ad about her. 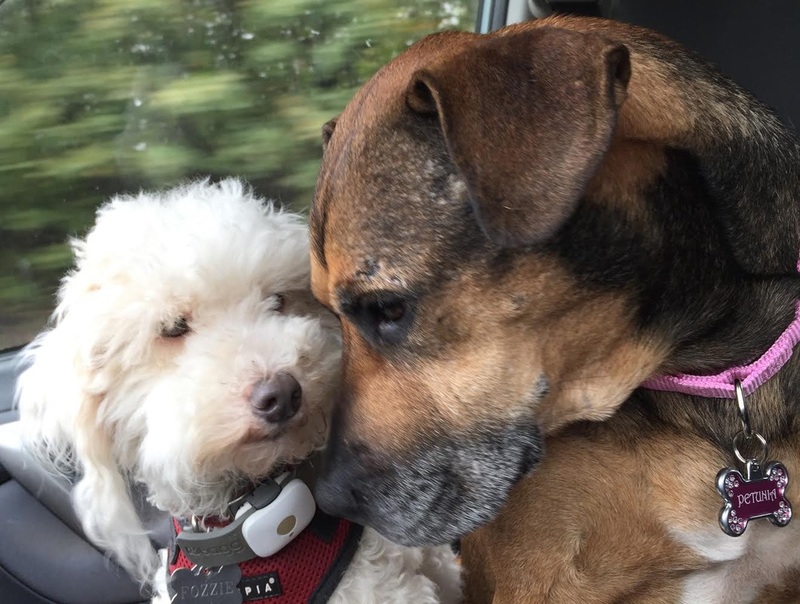 Bella was very happy to see them when they came to the foster home to pick her up. Trixie--reunited. Trixie was reported running around a field after the Fourth of July. UBS set a humane trap and caught fairly quickly. 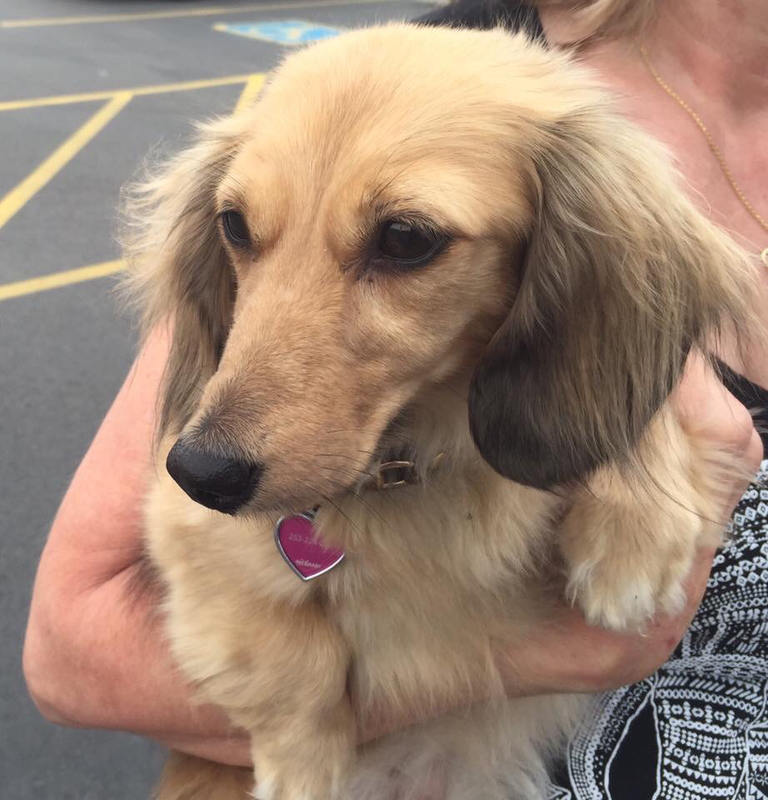 She had tags, and she was reunited with her family quickly. July--reunited. Found wandering in Puyallup, July was reunited with her family after a few days. She had been missing many months. Apparently, someone else had found her a long time ago, but she might have run away from that home after the fireworks. She is happy to be back with her original family. Koda--Reunited. 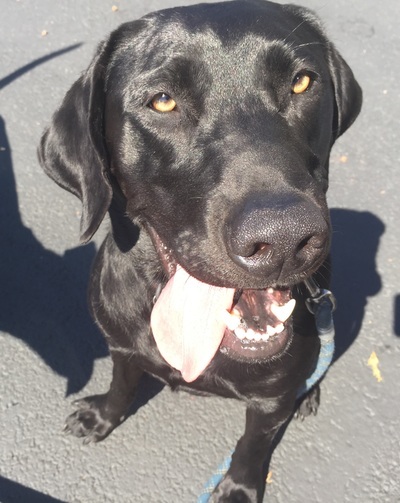 Koda was reported as hiding out in a car dealership in Lynnwood, where he would not let anyone get too close. We brought a Magnet Dog, who helped Koda relax. Koda followed the magnet dog into a humane trap. Once Koda was safely in a house, he let us pet him and read his tags. He had been missing about a day, and his owner claimed him the next morning. Carl--adopted. 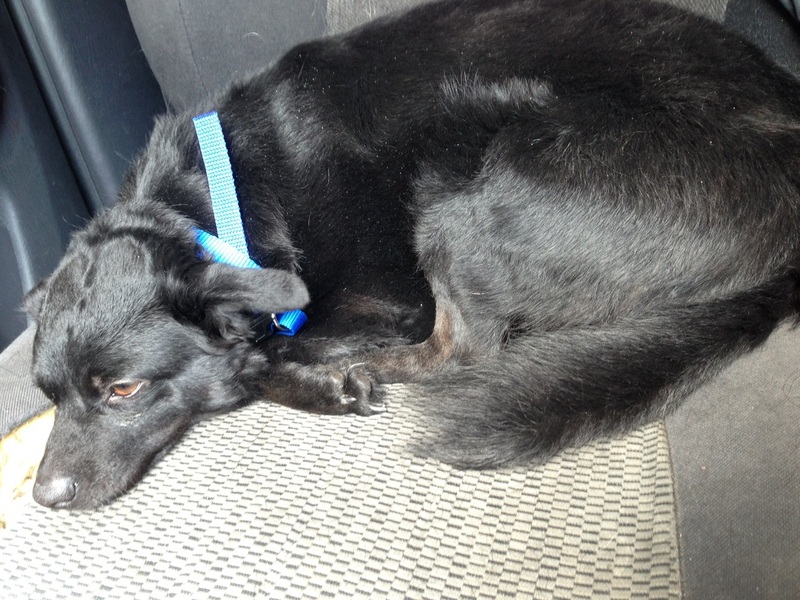 Found wandering in Lakewood, Carl was captured using the help of a Magnet Dog. He has been adopted. Cheetah--adopted. 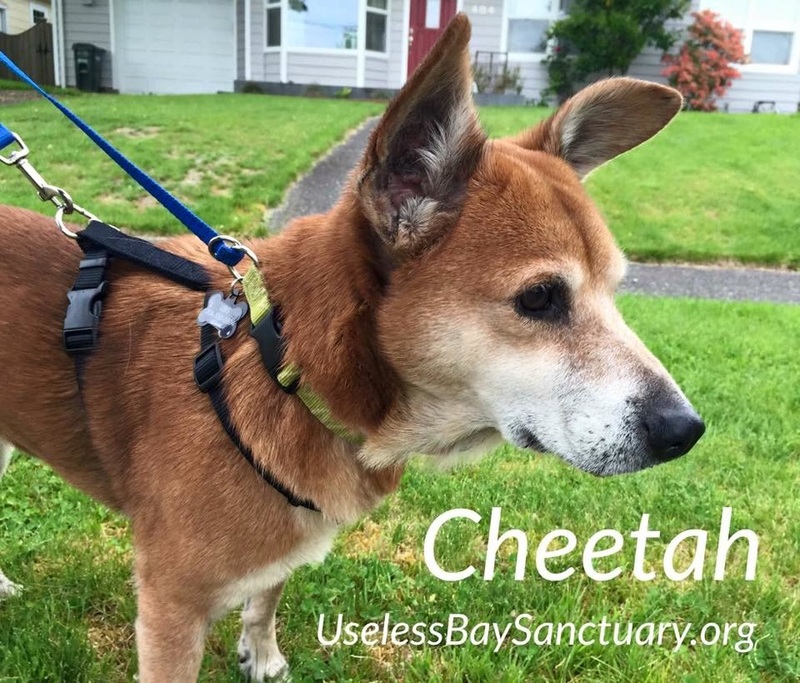 Cheetah is an older girl, about 9, found in Lakewood on April 22nd. She has found her forever home, and she is getting along great with the two other dogs in her family. Daisy--Adopted. Found in Arlington. Daisy ran loose in a neighborhood for about a week before volunteers trapped her. We have since located her owner, and he was unable to keep her. Daisy is now with her permanent family. Elton, aka Max--Adopted. He has found a great family. Please visit his photo gallery. Bailey--reunited. 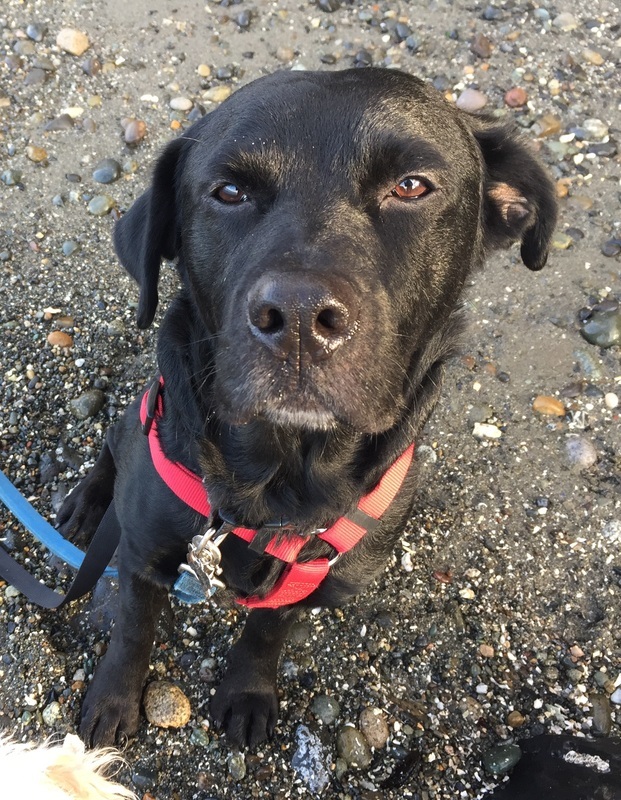 Bailey was found just southeast of Seatac airport. She has been reunited with her family. Baby Bear--adopted. 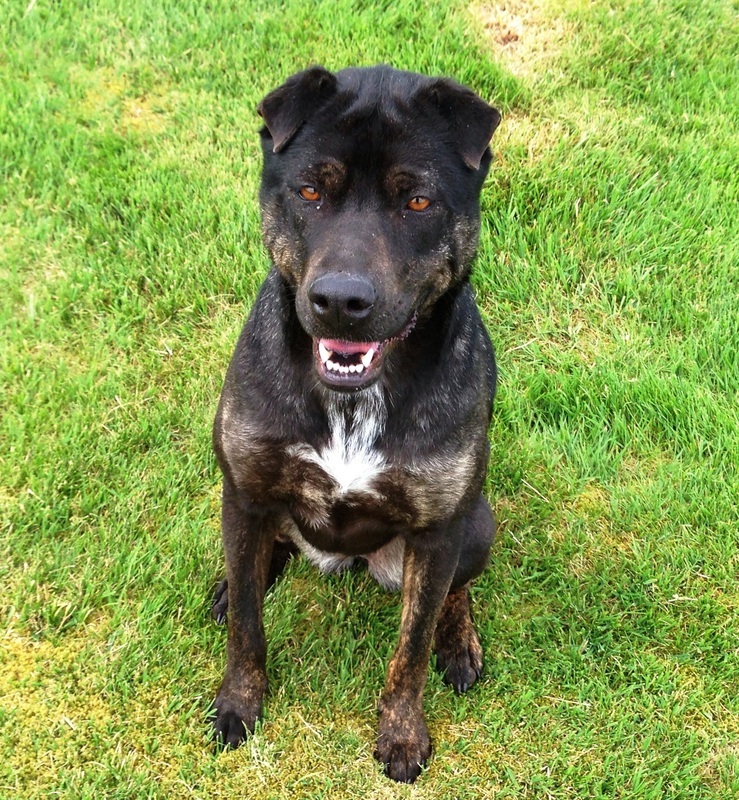 Found 4/3 near Carbonado, he had been reported in the area for about a month. Please visit his Facebook page to learn more about him. We were unable to find his former family, but he has been adopted into a great home. Bubba--adopted. 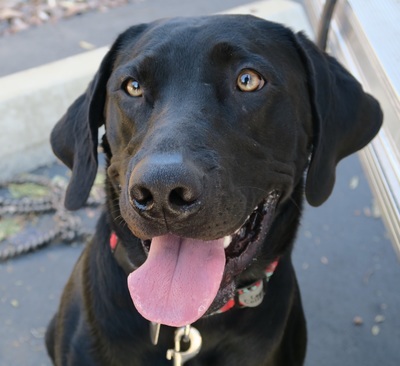 A medium sized black Lab, Bubba loves to be with people all day long. He likes to go for long walks. He does okay with some dogs, but cautious introductions would be prudent. 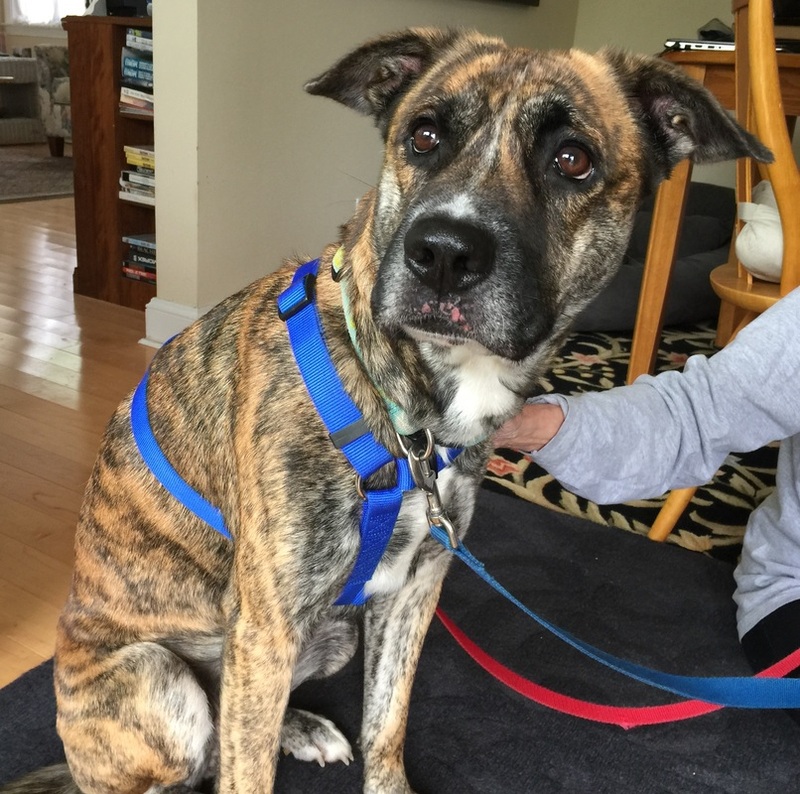 He has had a few seizures during the month that he has been in a foster home, so anyone adopting him would need to be prepared to treat that. So far, the vets have concluded that he seizures are mild and infrequent, so they don't need medication at this point. Bubba has his own Facebook page, so please visit it. Duke--Adopted. Found in Kent on March 18th. Duke is playful and energetic. He has found his forever family, with a couple of kids to grow up with. Here are more pictures of Duke, just because. Jake--Adopted. 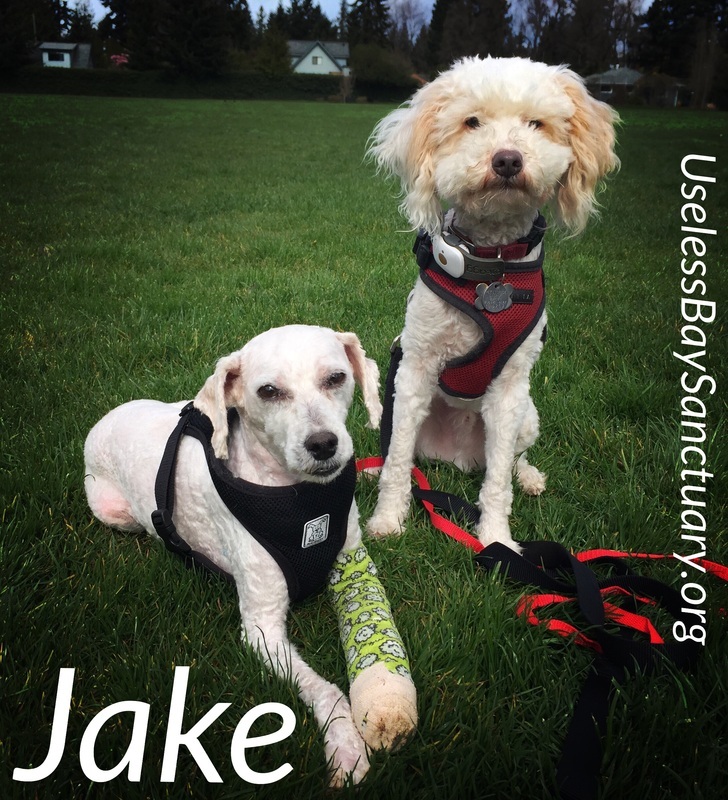 Jake was found by UBS volunteers after he had been hit by a car in Enumclaw. He had a dislocated hip, and his left arm sustained nerve damage, eventually requiring amputation. Jake gets around just fine on three legs. He has been adopted into a wonderful home, where he is getting stronger every day. Talulabelle--adoted. 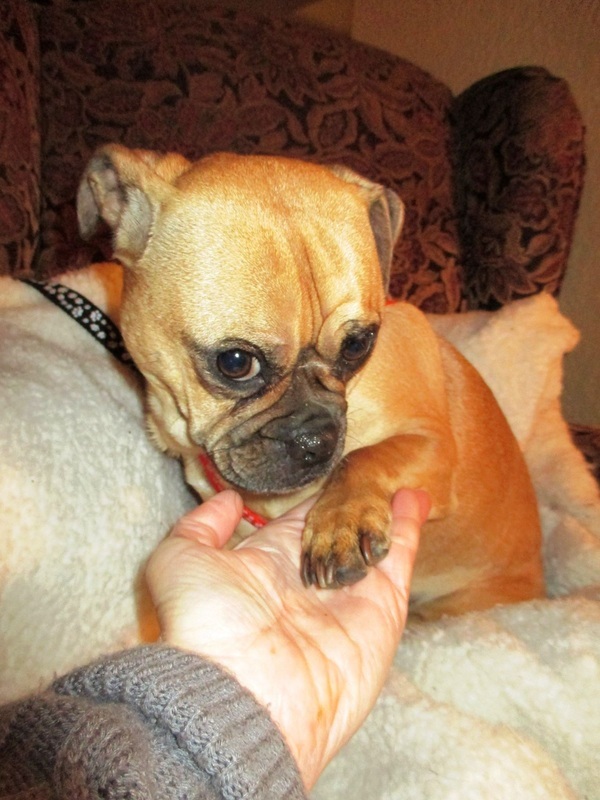 Talulabelle, aka Roxy, was found near Marymoor Park in Redmond on 12/21. She is a beautiful girl, very healthy, and she did not seem to have been wandering long. We were unable to find her owners, and she has been placed in a great home. Tuck--Adopted. Originally captured in January of 2014, Tuck has now found his forever home. Lucy--Adopted. 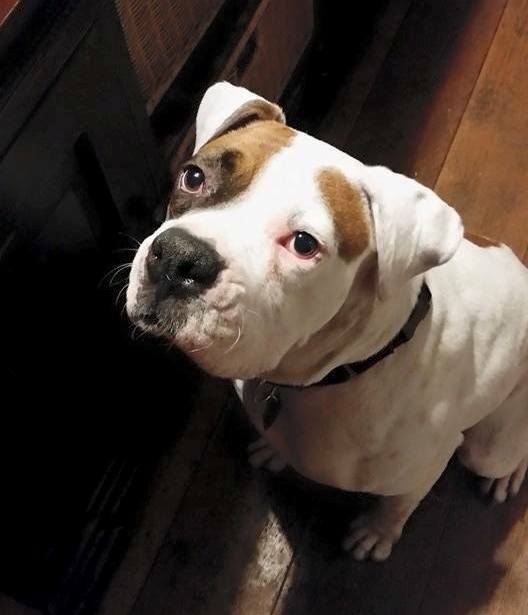 Lucy was found in north Everett on 1/11/15. 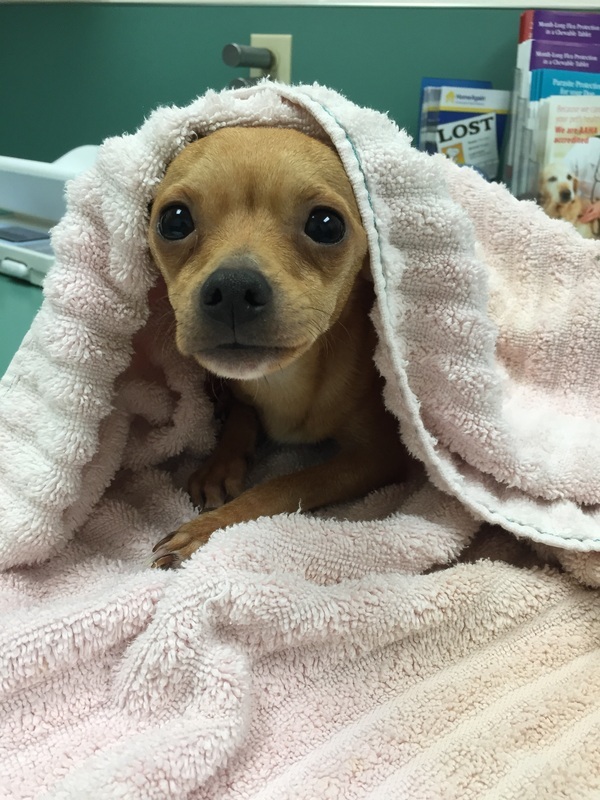 She had a large bladder stone that was causing her significant pain. She underwent surgery, and the doctors removed a bladder stone almost the size of a tennis ball. Lucy is feeling much better now. She loves children, and gets along with other dogs after a while. She is about 7 years old. She will require medication to keep a new stone from forming. Filbert--Adopted. 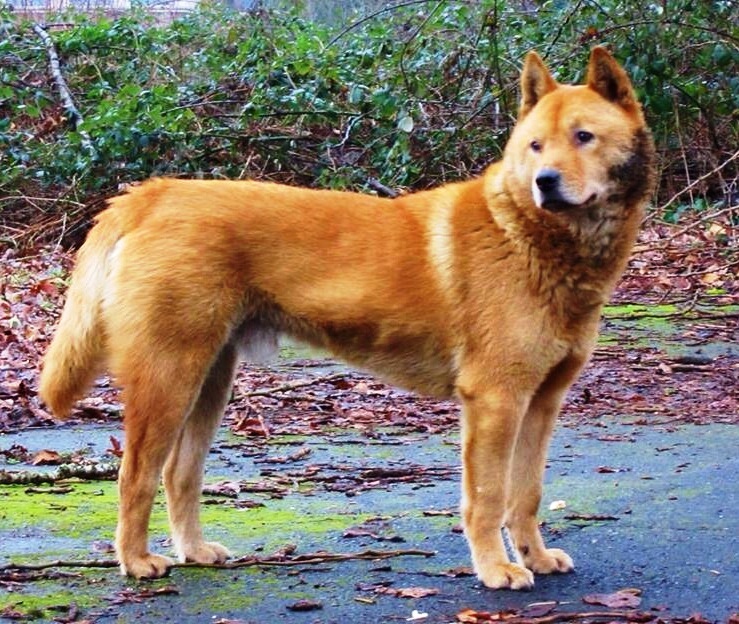 UBS captured this dog in Bothell on 1/24/15. It took nine cheeseburgers to lure him out of the swamp where he had been living for a month. We took him to the emergency room because his leg was obviously injured. The doctor says the leg was broken about a month ago, and cannot be saved. 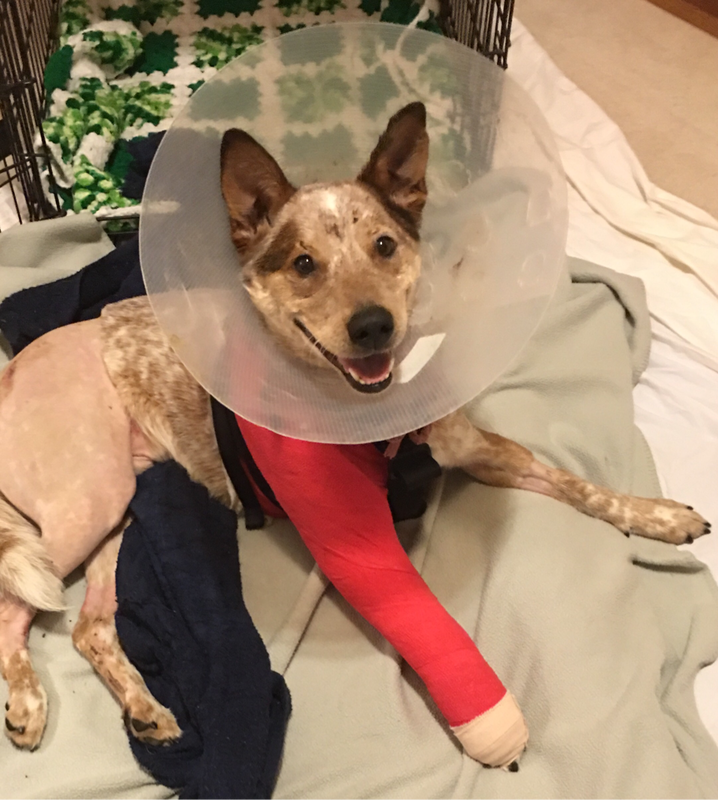 Filbert was scheduled for surgery, but on the day of the surgery, the doctors felt his leg had recovered sufficiently that amputation was no longer necessary. That leg will always be shorter than the others, but he gets around just fine. 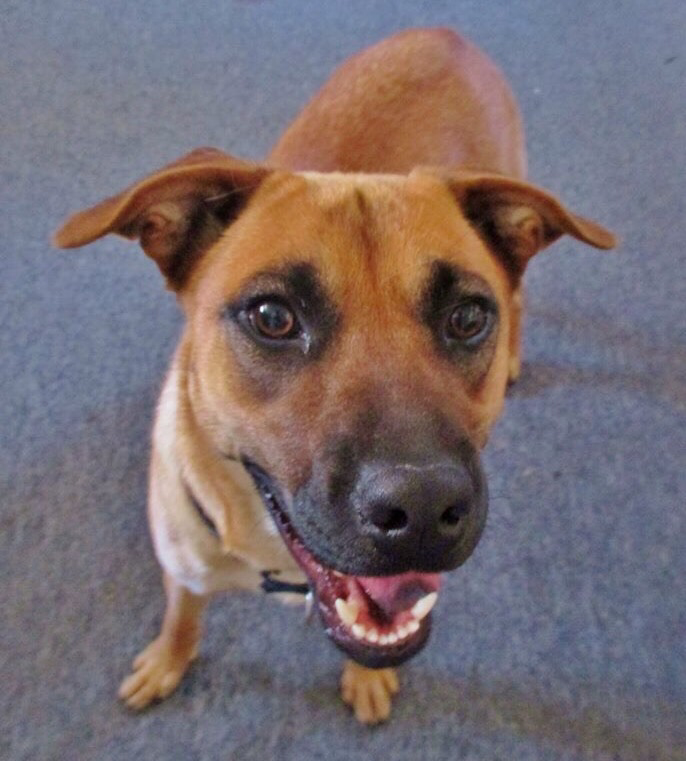 Filbert plays happily with the two other dogs in the family that adopted him. Samson--adopted. 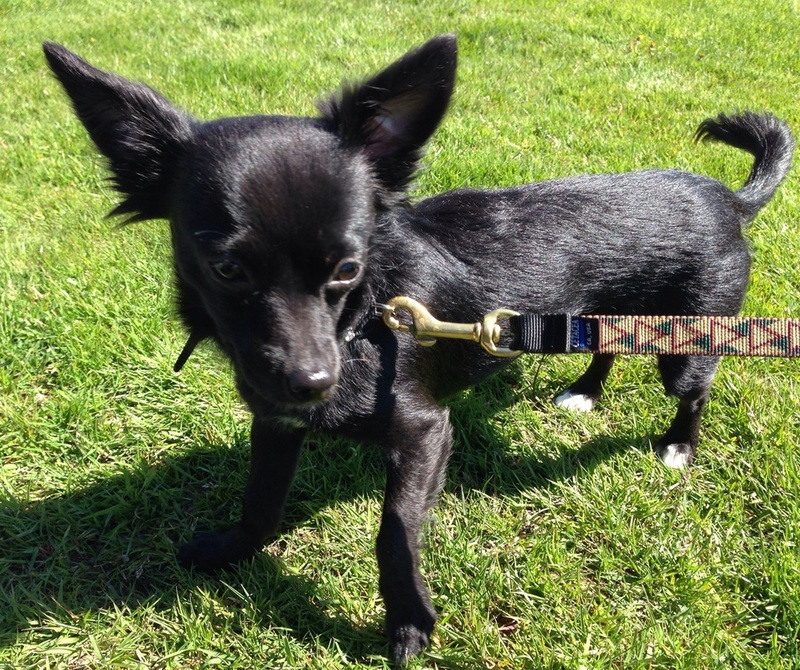 This little fellow was seen limping in Puyallup. We captured him on 1/17/15. He seemed to be wandering with a pit bull, but we weren't able to capture that dog. Houston--adopted. Found on Alaska Street in Parkland on 1/29/15. People in the area said he had been wandering from yard to yard for a while. Lots of people saw our signs for a found dog, but no one ever claimed him. Houston has been adopted into a great home where he is very happy. Biggie Smalls--Reunited. UBS received a call about this dog wandering. We corralled him using a magnet dog, calming signals, bacon, and an open car door. We returned him to his owner within half an hour because he had tags with a current number. Baby--Reunited. Found roaming in Puyallup, a craigslist ad helped us get him back home in less than a day. Starsky and Hutch--Reunited. 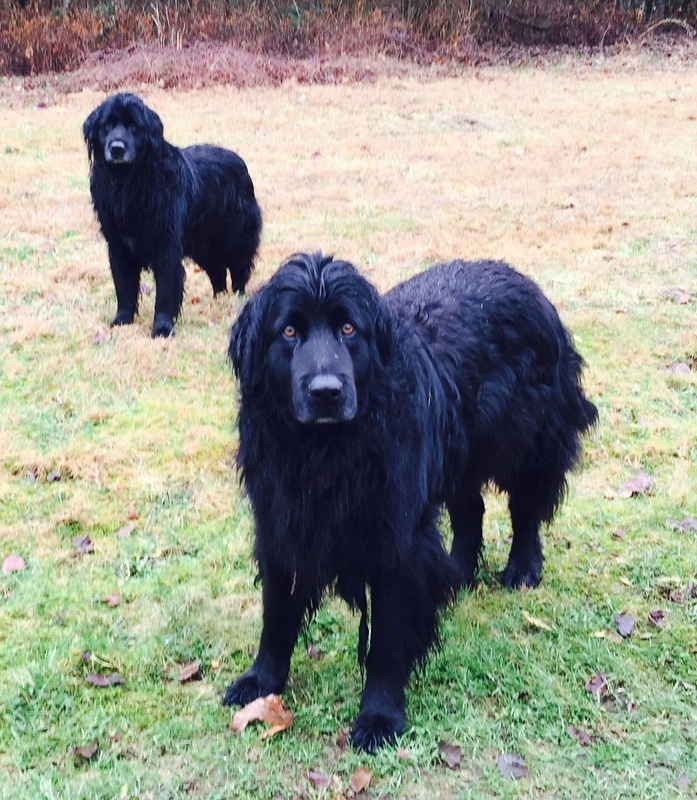 These boys were reported to UBS as wandering in the street with no collars on January 11th, 2015. We were able to reunite them with their owner within 24 hours. Shadow--Reunited. 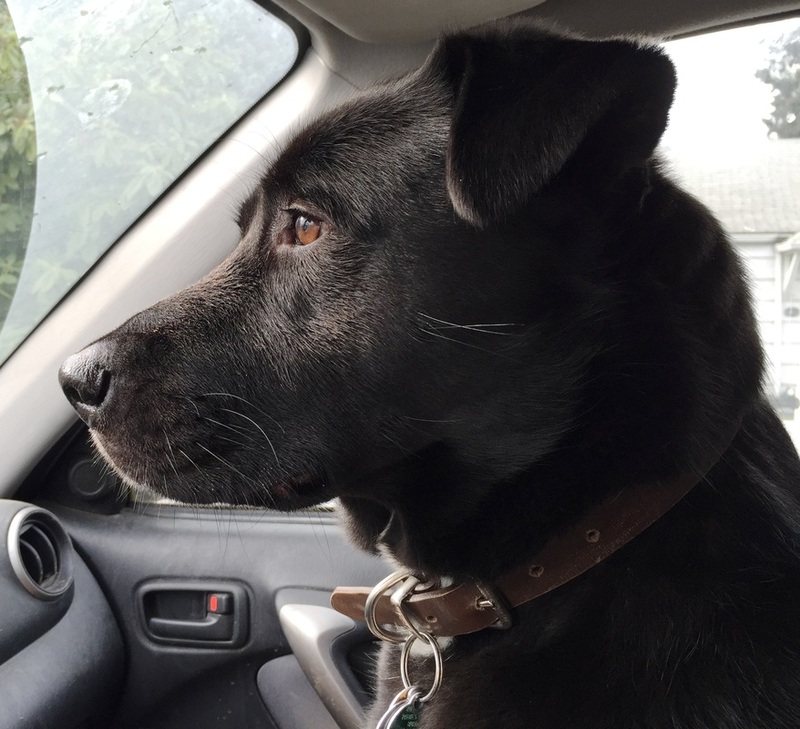 Shadow was reported to UBS when people saw him wandering near the Post Office in Spanaway, 1/26/15. 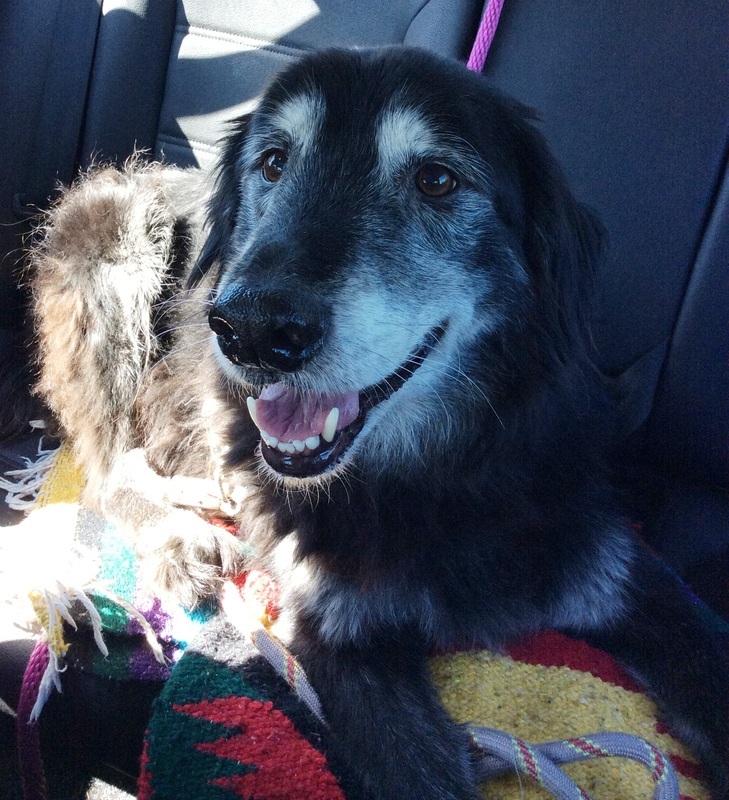 Through signs and a craigslist ad, we were able to connect with his family, and Shadow is back home now. Patches--Adopted. 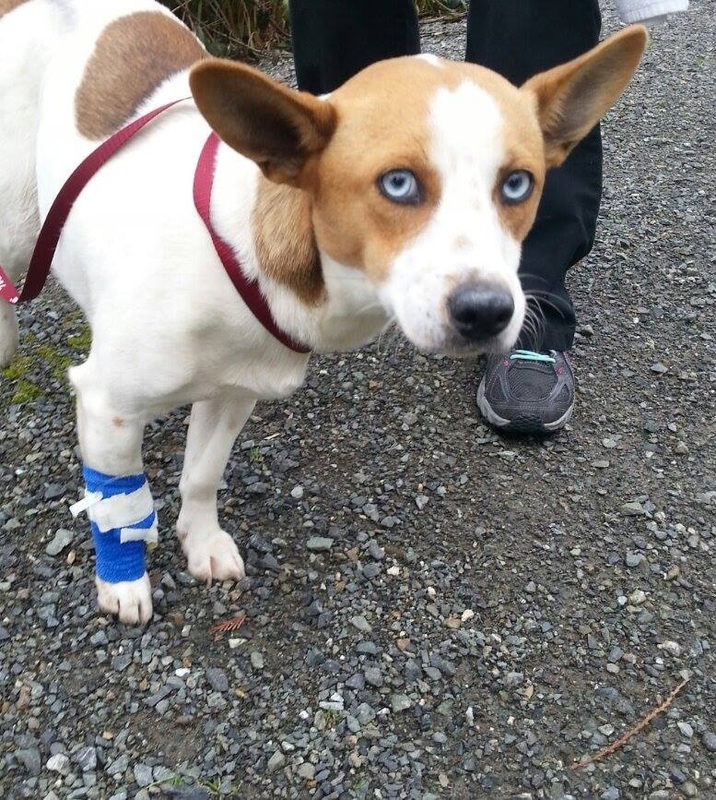 Patches was found in Snohomish, where he had been hit by a car. His pelvis and femur were broken. He had surgery Monday, December 15th. The total for his emergency care and surgery came to about $5,000 total. We were able to find the owner of Patches, who is unable to provide for his basic needs, let alone pay for an expensive surgery. The owner felt it was in the best interests of Patches to surrender him to us. Patches has mended fairly well, except he can't raise his tail as high as he used to. He has been adopted into a great home. Violet--Adopted. Violet had been wandering in Granite Falls for perhaps seven months. We captured her in a humane trap, and she went to a foster home. Her foster family liked her so much, they decided to keep her when her original owners couldn't be found. Bubbles--Adopted. 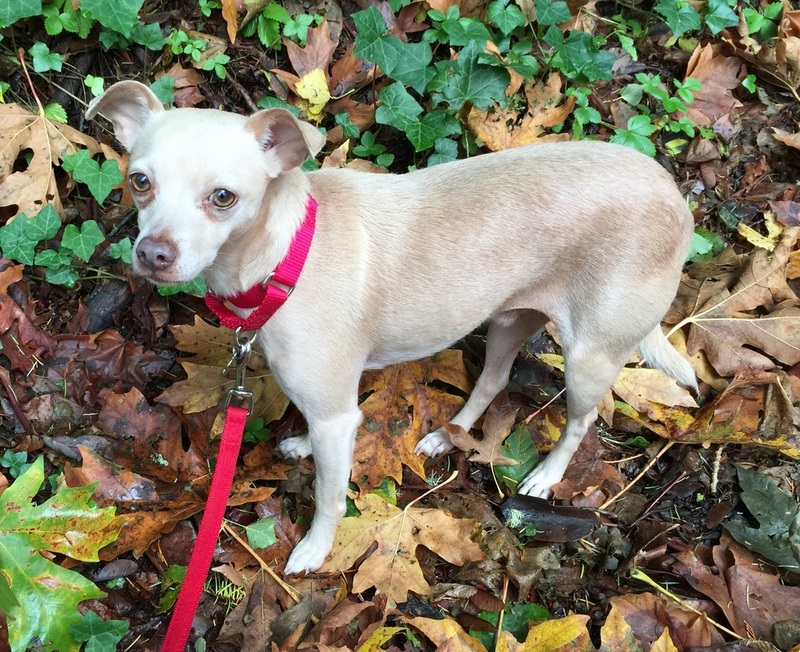 Bubbles was found in south Everett on November 30th. He might be the cutest dog in the world. He has been adopted by his foster family. Bree--reunited. Bree was found wandering, not too far from her home as it turned out. 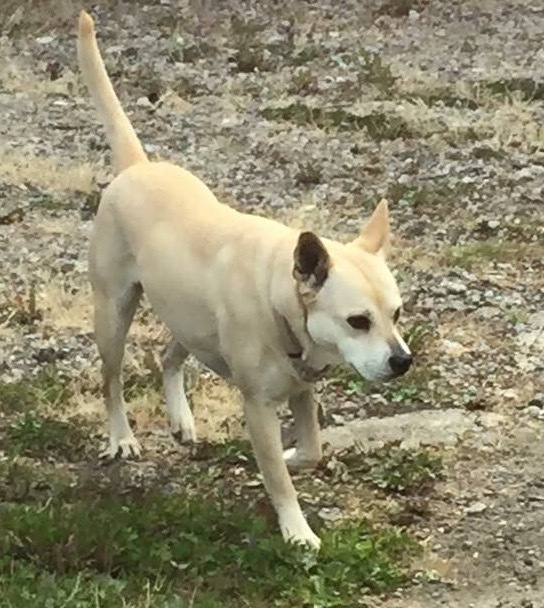 UBS volunteers put up Found Dog posters in the area, and her owners contacted us. She was reunited within 24 hours. Bo--adopted. 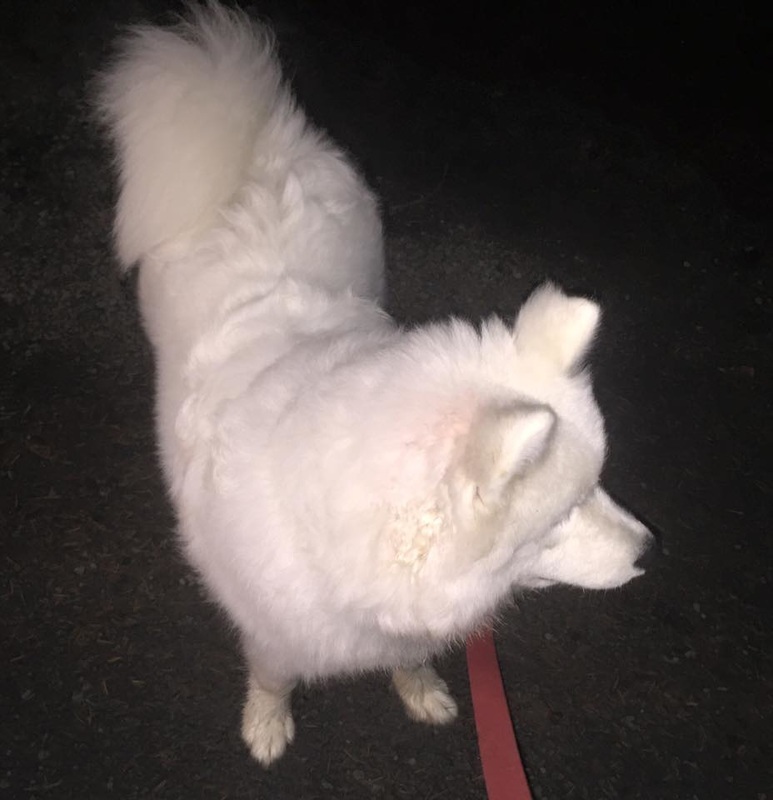 Found wandering near Silver Lake in Everett on November 12th. No microchip or collar. We put signs up in the area he was found. He has now been adopted by the family that fostered him. Duchess--Reunited. 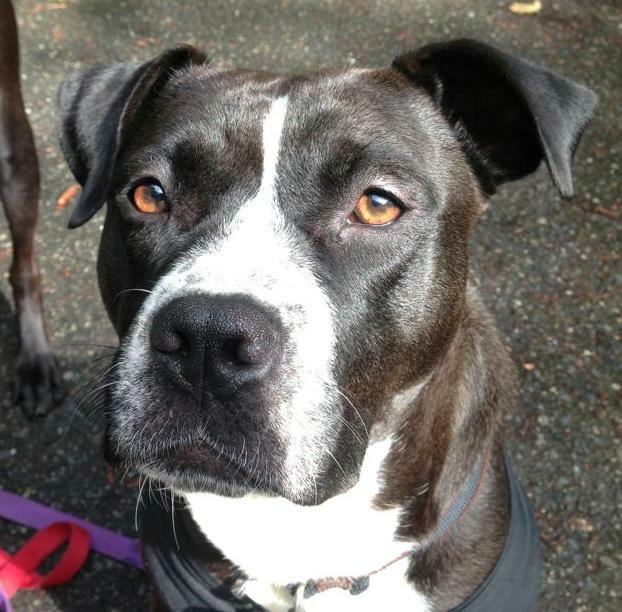 Dutchess was found wandering in Snohomish. 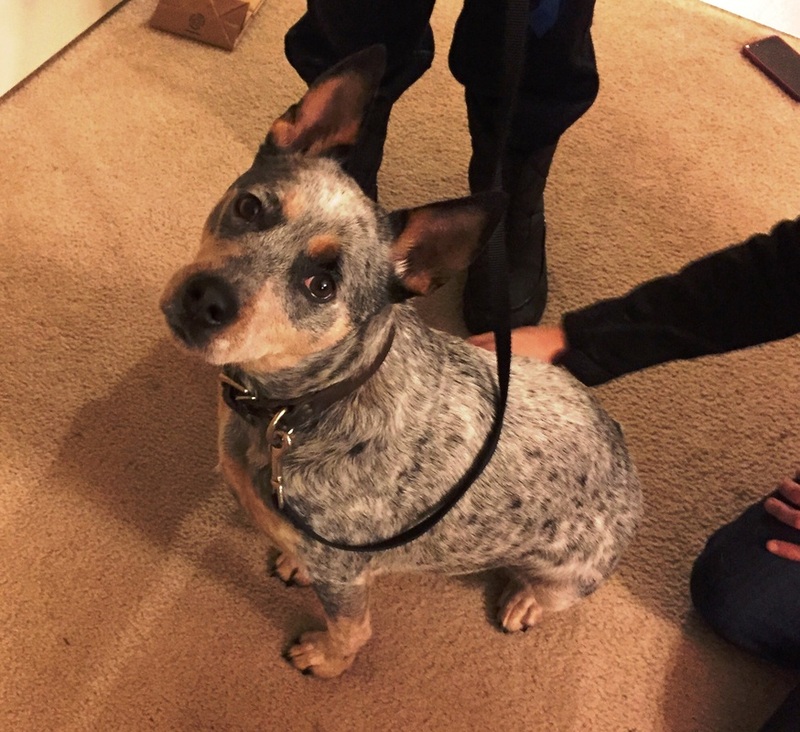 Her owners responded to our craigslist ad, and it turned out she was not far from home. She was happy to get back to her family. Petunia--adopted. Found wandering in Puyallup, Petunia is a sweet older girl. UBS turned her over to Metro Animal Services, where her owners never came to claim her. We adopted Petunia from Metro, and she lived with a foster family. She has been adopted. Please visit her photo gallery. Tuck--Reunited. 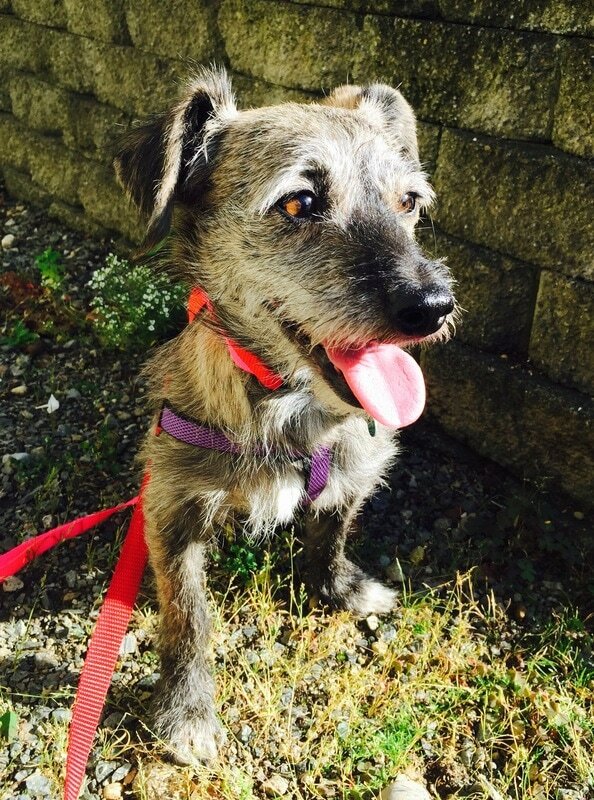 A UBS volunteer found Tuck wandering in Tacoma. Her tags were licenses only, with no address or phone number. 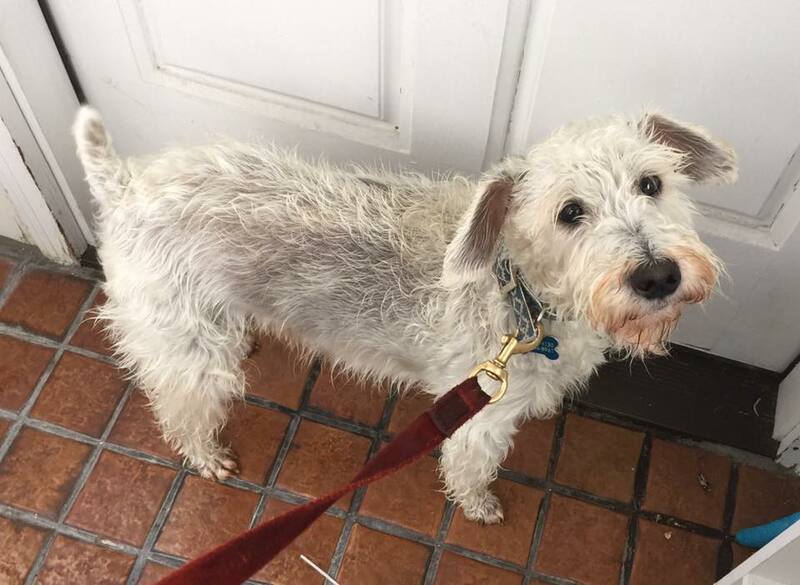 At a nearby vet, a scan of Tuck's microchip yielded a current phone number, and she was reunited with her family quickly. 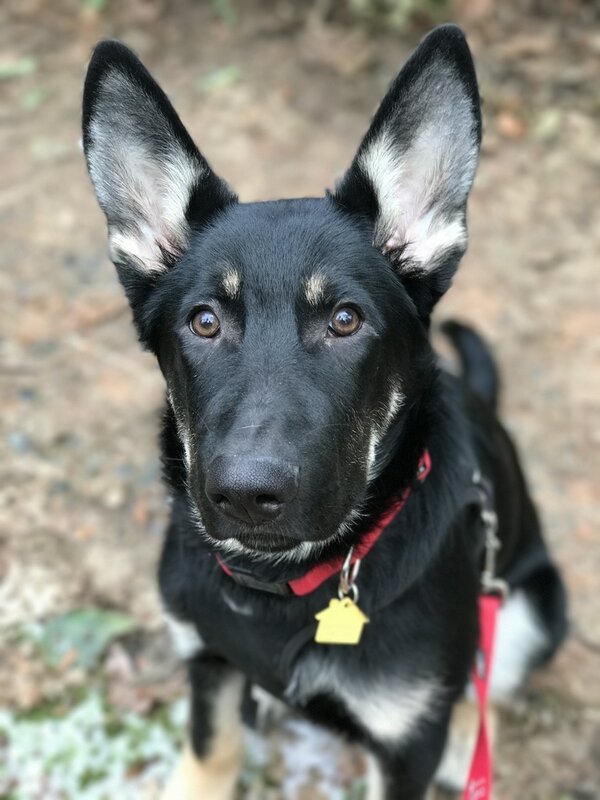 Nikita--adopted. 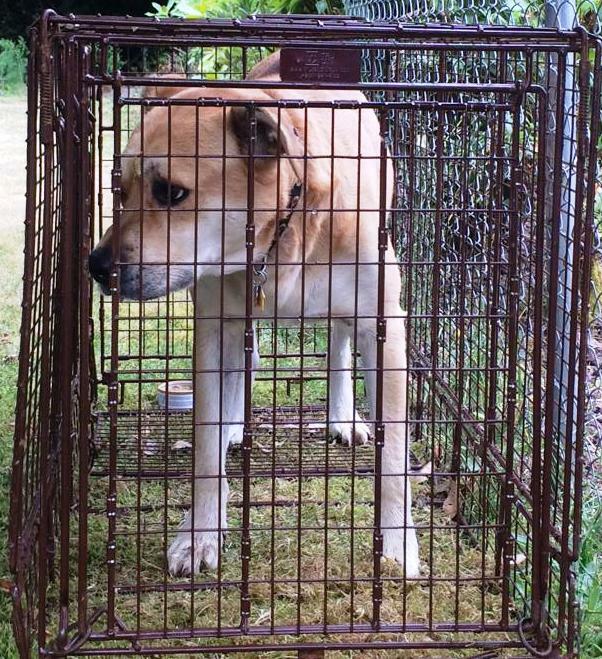 Nikita had been roaming a neighborhood in Woodinville for several weeks before UBS trapped her in a humane trap. She had no collar or microchip. We searched for her owners. She is about 40 pounds, maybe 5 years old. She was adopted when we could not locate her previous owners. Denny--adopted. ﻿﻿﻿﻿﻿﻿Denny was found roaming loose on October 1st near the Walmart in Spanaway. He has been adopted by his foster family. Brooklyn--adopted. Brooklyn is a sweet, calm girl. 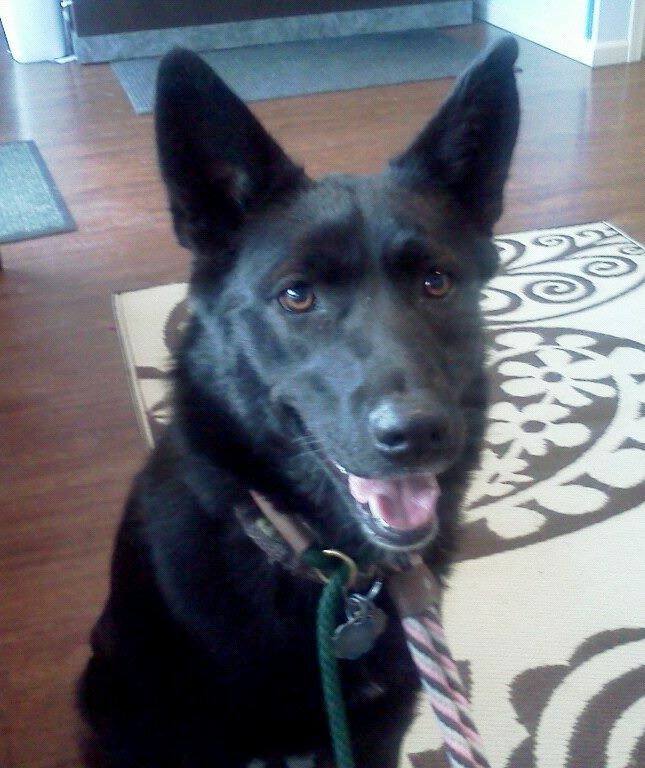 She has been adopted into a great home with acres to play on and many dog-friends to play with. 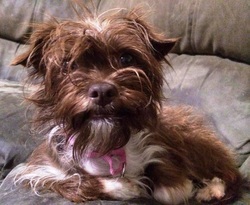 Cocoabean--adopted. 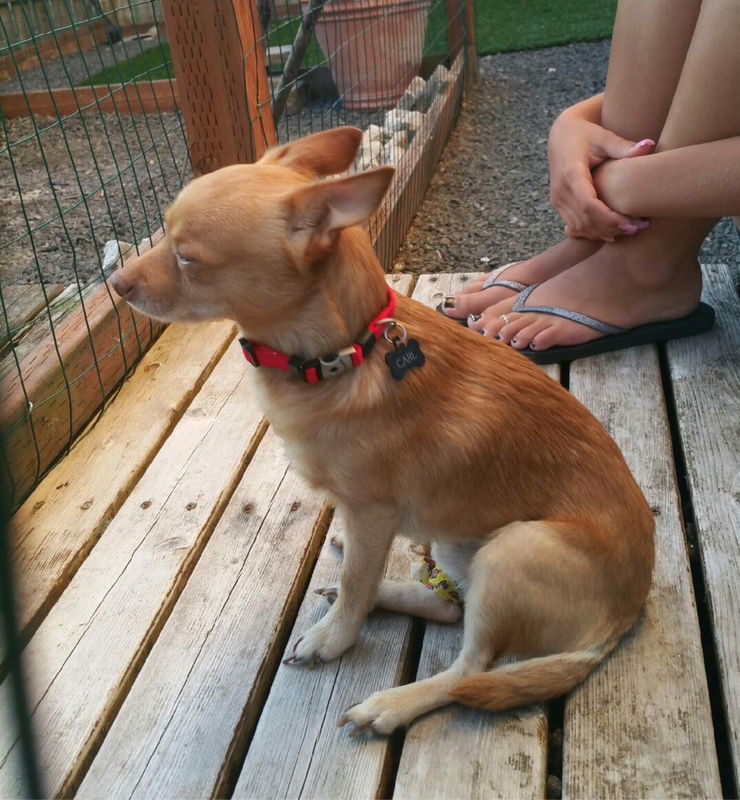 Cocobean was found in Puyallup. She seems well cared for, but no one has stepped forward to claim her. She weighs about ten pounds, and the vet thinks she is about a year old. Cocoabean has been adopted into a great home with a young girl and boy who take turns pampering her. ﻿Frankie--adopted. Frankie had wandered about Puyallup for a couple of weeks before UBS volunteers trapped her in a humane trap. She has been adopted by her foster family. Sammy--reunited. 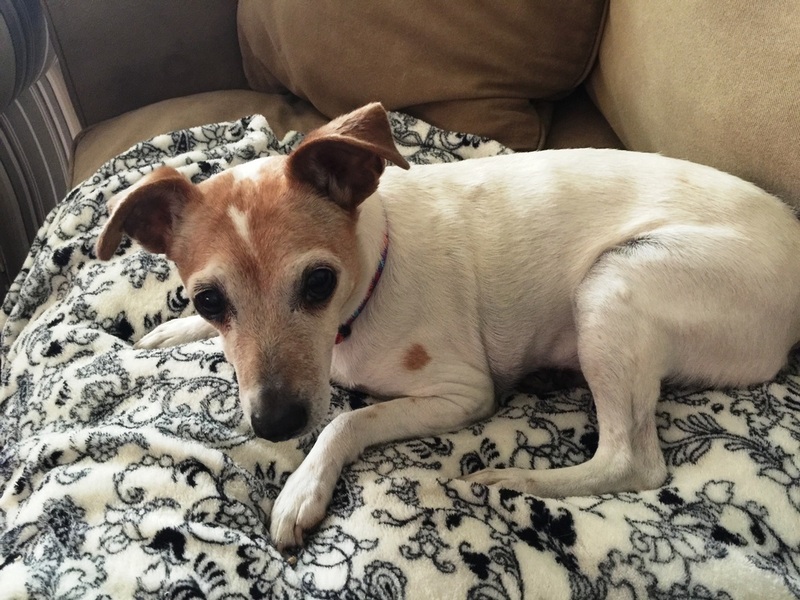 Sammy was found wandering down the street in Puyallup on October 7th, 2014. A UBS volunteer secured him using calming signals. 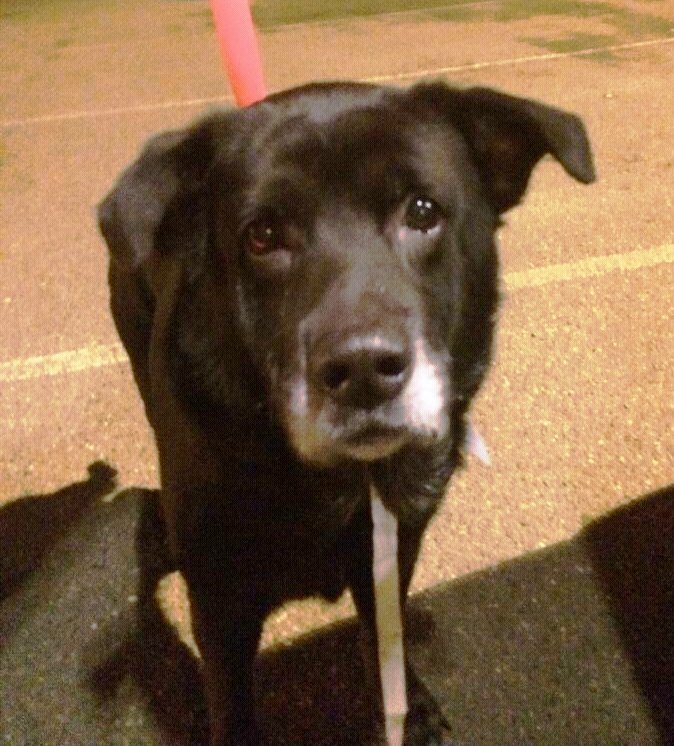 Sammy's owner responded to our craigslist ad, and Sammy was reunited with his family within hours. Wally--adopted. 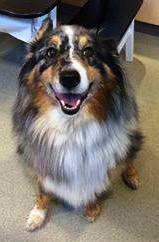 Wally was found in Tacoma at Waller Road and 72nd, shortly after the 4th of July. He did not have a collar or microchip. 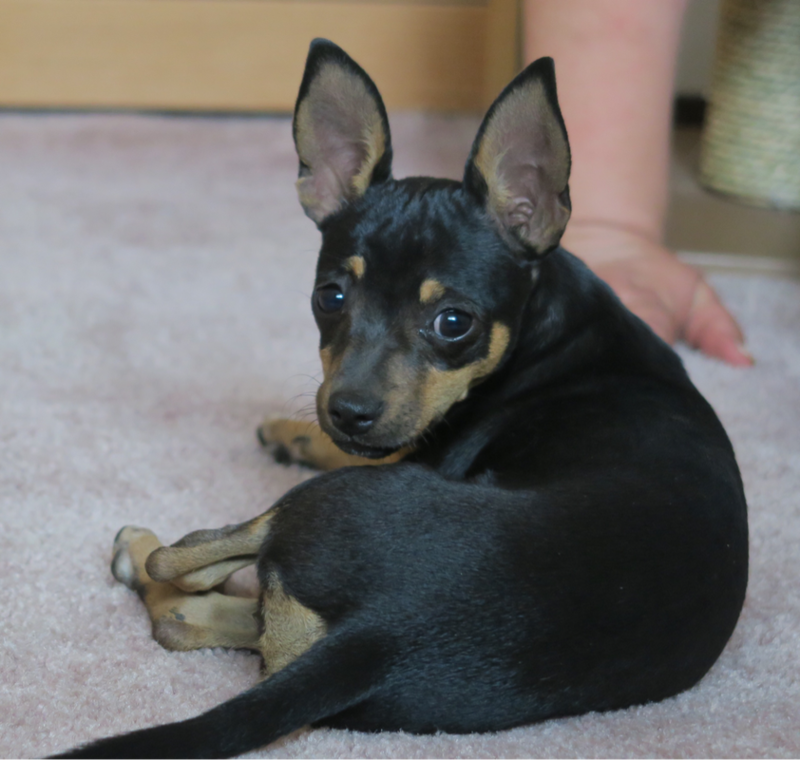 He is a young dog, very happy, and gets along with everyone. We searched for his previous owners for over a month. 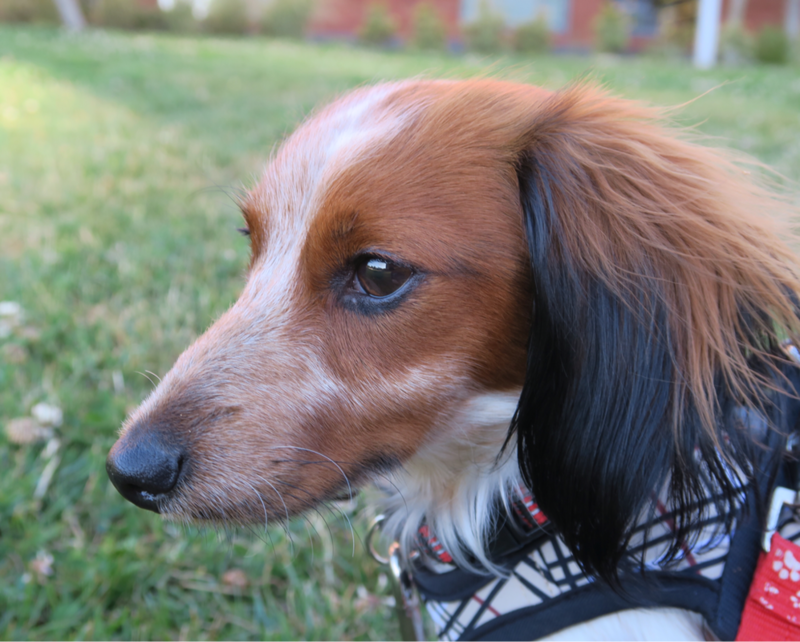 Wally has been adopted by a family that loves and spoils him. Bear--reunited. 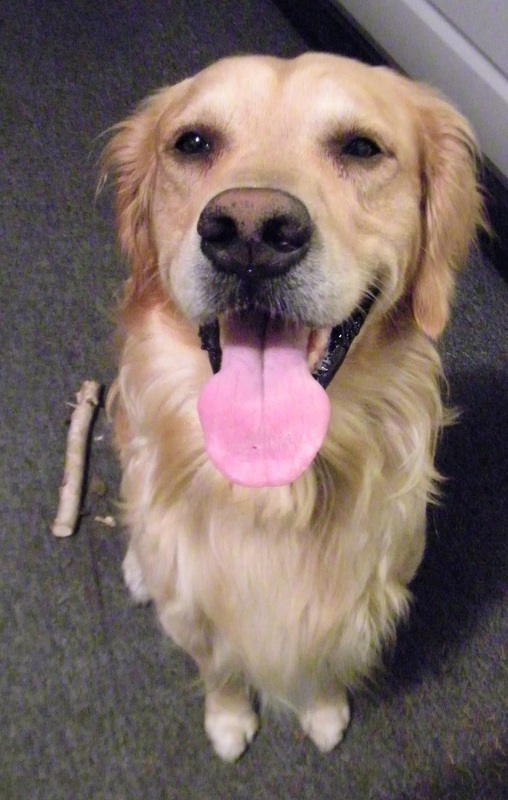 He had run off when frightened by severe thunderstorms. There was some confusion about the phone number associated with his license tag, so Bear stayed with our foster for one night until things got sorted out. He is back in his loving home now. Deuce--adopted. 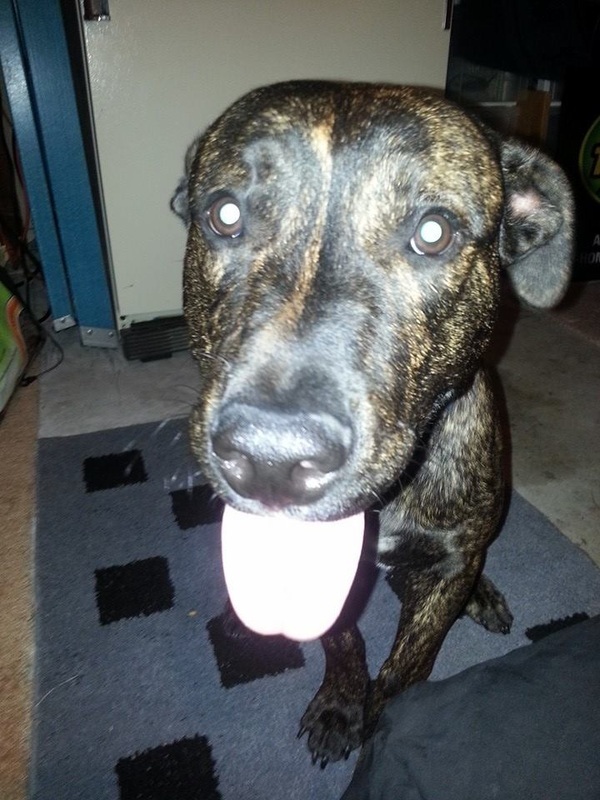 Deuce was found in Marysville on 116th. He has been adopted into a home where he plays with another dog, and they are thoroughly bonded. Prince--reunited. Prince was found wandering in Kent. 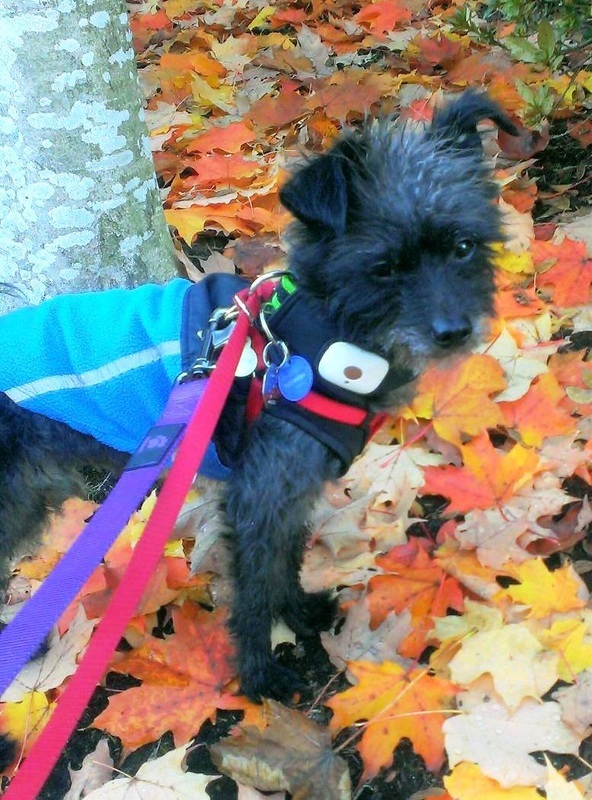 He didn't have tags or a microchip, but his owner responded to a craigslist ad. He was very happy to see his people. Reunited in 24 hours. Jack--reunited. We learned of Jack through an ad on craigslist saying he had been wandering a neighborhood in Edgewood for several weeks. People were feeding him, but no one could get close. We set a humane trap, and he went in within 8 hours. Jack had a microchip and a license, so we were able to track down his owner with a few phone calls. It turns out Jack had been missing for five weeks and was ten miles from home. He was very happy to be back with his people. Faun--adopted. Faun was trapped in a humane trap after she had been wandering West Seattle a few days. She is about 5 years old, according to the vet's guess. Faun is doing great in her new home. Please visit her page for more pictures. Bart--in rehab. 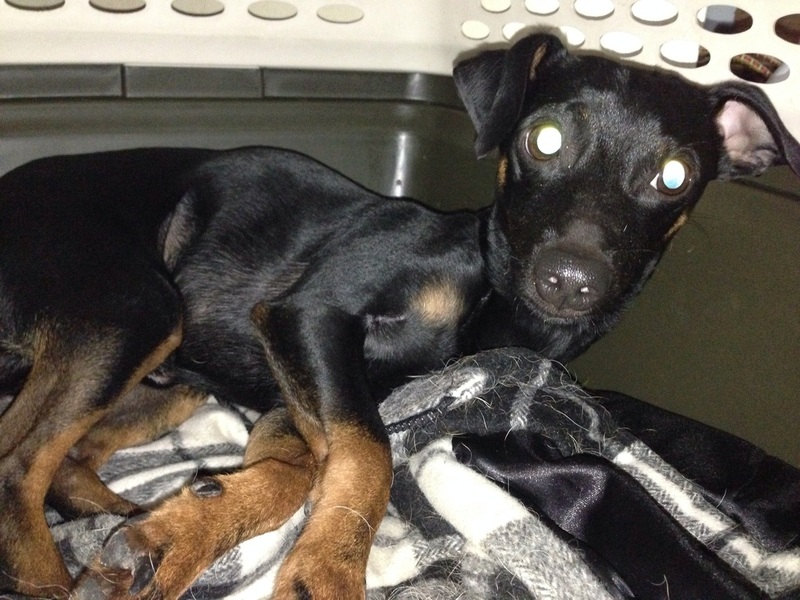 Found on August 2nd, this little black dog, possibly a Schipperke, may have been hit by a car, according to people in the area who heard screeching tires and a yelp. We took him to a vet, and the x-rays and exam could find no injuries. Bart is 17 pounds, friendly at times, but opinionated and nippy. We have him with a rescue that works on behavioral issues while we look for his owners. He seemed to have been groomed recently. Maybe the owners are on vacation and don't know he's missing? Please share his picture. 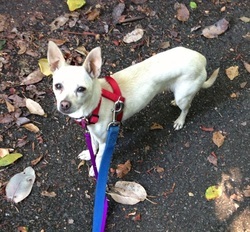 Found in Everett, near 112th SE and 3rd Ave SE. Ferdi--adopted We learned about Ferdi on May 21st. She liked to sleep in the landscaping of a church in Arlington. After several days of investigation and information gathering, UBS set a trap at the church, with their permission. Ferdi went into the trap on the second day it was set. We scanned her microchip, and learned that she ran away on New Year's Eve. Her original owners are not in a position to take her back, and they asked UBS to find her a new home. She is a sweet and gentle dog. She wants to hang out with adults and calm children. She is 6 years old, possibly around 120 pounds. Ferdi is doing great in her new home. Shyann--adopted. 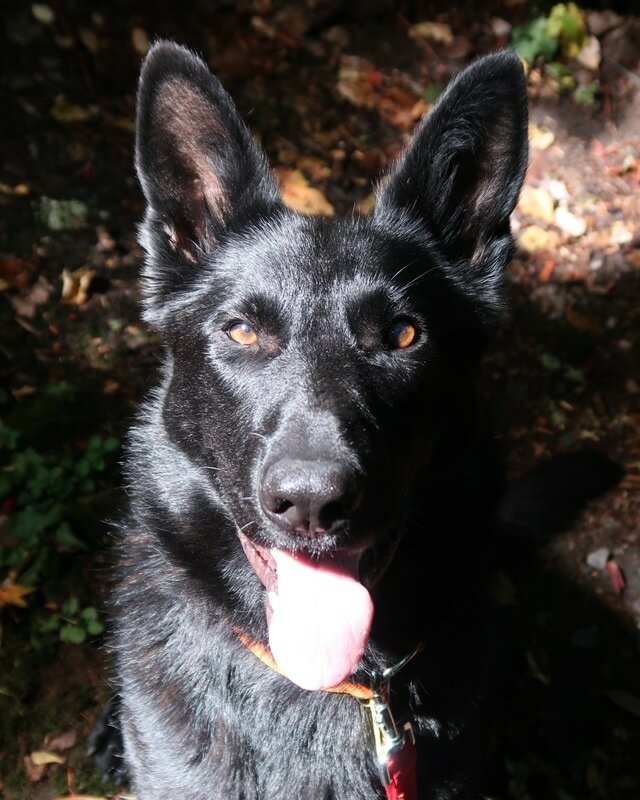 Shyann was reported to UBS as running around a condo complex in Bonney Lake. No one could get within 20 feet of her. We fed her to keep her in the area while working with the homeowners association to get permission to set a humane trap. We worked with Metro Animal Services, the local animal control agency, to convince the homeowners association to allow us to set the trap. Once the trap was placed, Shyann went in in 24 hours, after a week of negotiating permission. She had no microchip or ID. She stayed with Metro for 72 hours before UBS adopted her. Shyann has been adopted into a great home. She has her own Facebook page if you would like to learn more about her. 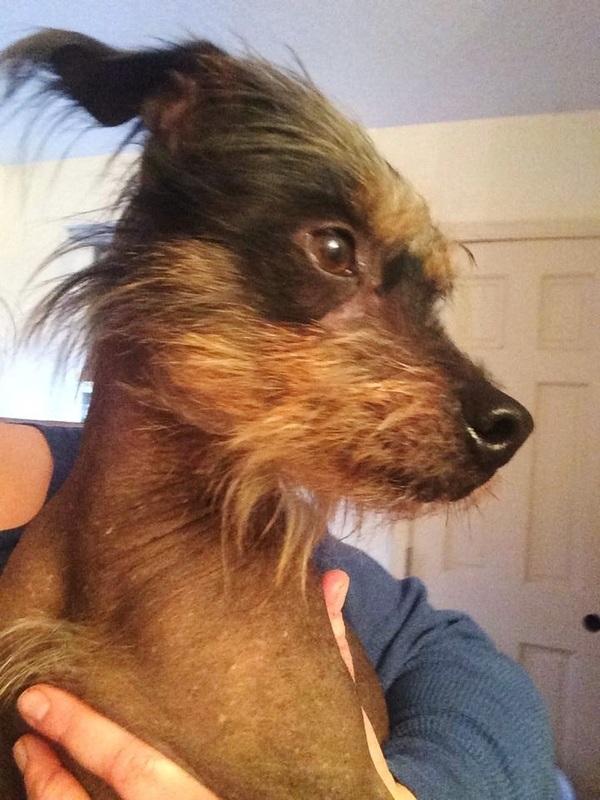 Omna--reunited Found near Seward Park on South Graham Street in Seattle on May 11th. We scanned her microchip and reunited her with her owner the same day. Her name is Omna, I think. She was happy to go home. Sky--adopted Sky had been living at the Cypress Lawn Cemetery in Everett for about 4 months. Residents of the adjacent community had been feeding her. After at least 22 hours of befriending Sky over a five day period, we got her into a car and to a temporary foster home. Sky has been adopted. Sky's page. 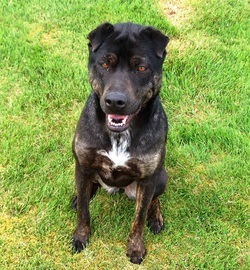 Vinnie--adopted This friendly dog was wandering in Marysville on 5/9/14. We looked hard for his previous owner, but thirty days of searching yielded no clues. He is very happy in his new home, where they spoil him rotten. 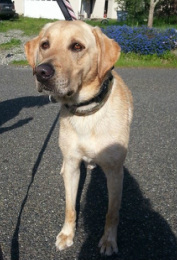 Gunnar--reunited Found in Bonney Lake on May 7th, this yellow lab was running from yard to yard. We finally caught him with calming signals. 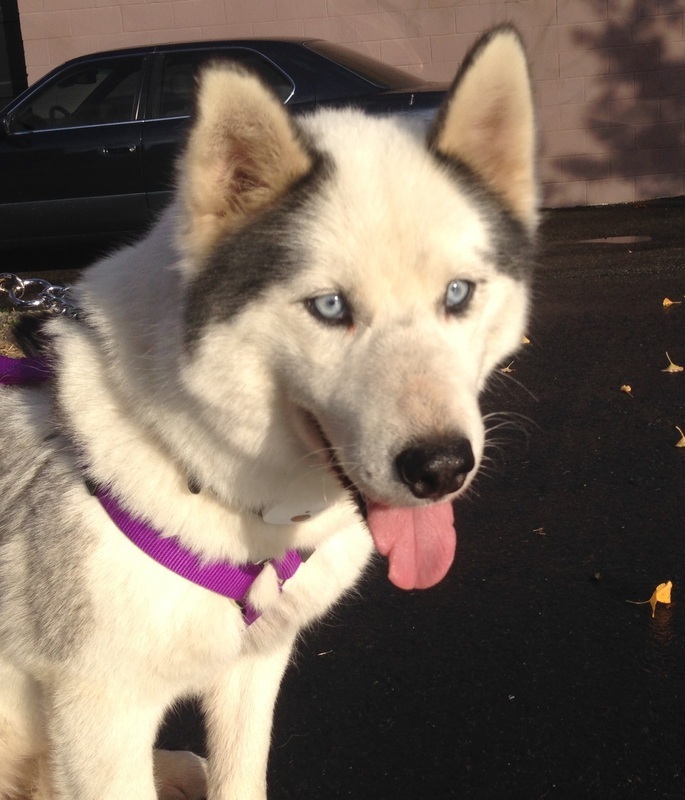 Thank you to Lost & Found Pets WA State for bringing him to our attention and helping with the capture. It turned out his name was Gunnar, and his owner responded to our craigslist ad the next day. Gunnar is home again. 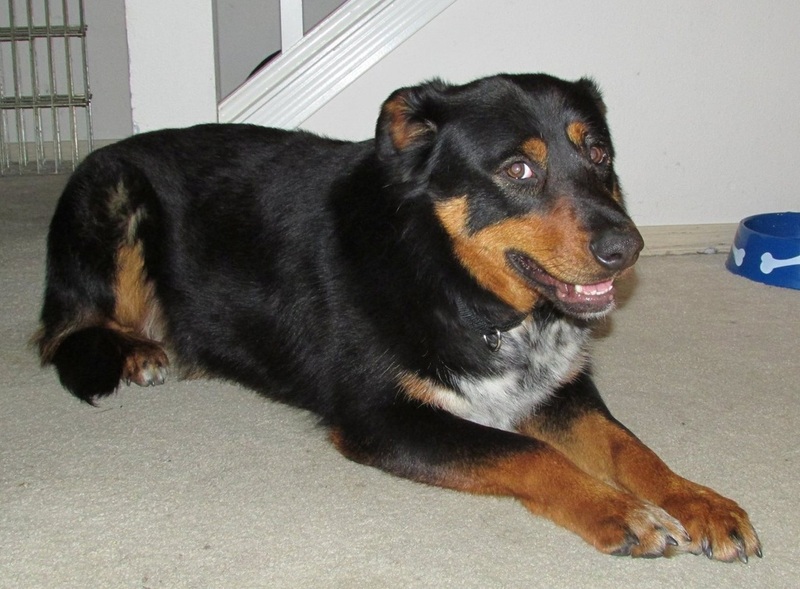 Max--reunited Found in Spanaway on April 30th, reunited with his family on May 2nd. Max had wandered about a block away from home, and he strolled right into someone's kitchen. We kept Max in a foster home, scanned him for a chip, and had him checked by a vet. We put up Found Dog posters, and his owners called us. He was very happy to be back home again. Crab--reunited This little guy was found on April 10th in Burien near Verona Pizza, and since the Shakespeare play "Two Gentlemen of Verona" featured a dog named Crab, we called him Crab. 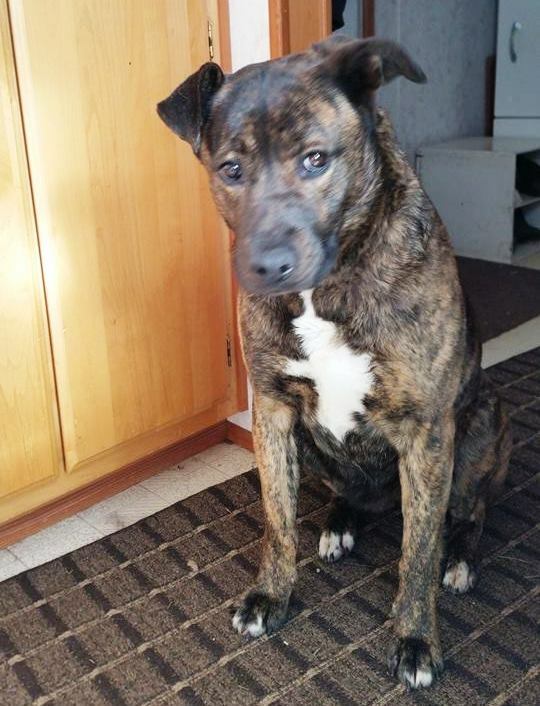 His owners saw an ad for him on April 17th and he is now home where he belongs. He was very happy to be reunited with his people. Ross--adopted Ross, a.k.a. Blitz or Riley, was captured in a humane trap by Bonnie, in Gig Harbor, where he had been wandering for many weeks. His microchip revealed that Ross had been pulled from a shelter in California and adopted to a family there. The rescue group that found him a new home in 2012 has been unable to located the family that adopted him. Because we couldn't find his previous owner after more than thirty days of looking, Ross has been adopted into a wonderful home where he is happy and healthy. Arwen--adopted Arwen was brought to our attention when she was running loose in the Puyallup area. Using calming signals, UBS Team Member Bonnie successfully lured Arwen and helped her to safety. Efforts to find an owner were not successful. She found a great new home. Please see Arwen's page for more pictures and information. Buster--adopted Buster was running around loose in Sumner. 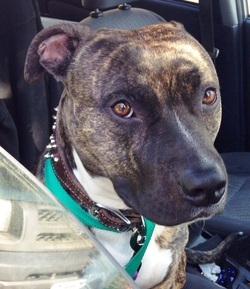 Amanda, from Lost & Found Pets WA State, located Buster and captured him, with a little help from us. He was taken to a vet for a check up, surrendered to Metro Animal Services, neutered and vaccinated, kept in a foster home, and eventually adopted to a new family after extensive efforts to find his previous family failed. UBS incurred considerable expenses caring for him, so donations would be welcome. 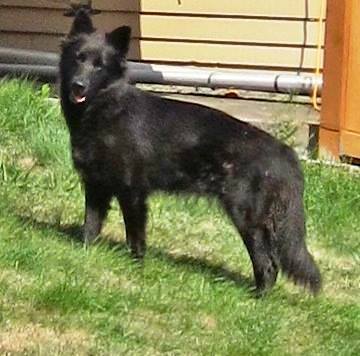 Princess--reunited A concerned citizen called UBS about Princess, a dog running loose near the Home Depot in Lynnwood. Dina set a humane trap for Princess, and she went into the trap fairly quickly. 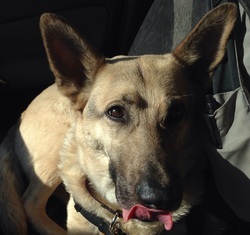 A scan of her microchip revealed that she was registered to a local rescue group. Princess had been placed in a foster home, and she dug out under the fence shortly after she arrived there. Princess had been missing for eight months! Princess is healthy and happy now, and she has been adopted. Gus--adopted This great picture of Gus not only shows what a cutie he is, it also shows some of the precautions we take to make sure our adventurers don't embark on any new solo adventures. Gus is being walked on two leashes, one on the collar, one on the harness. Gus also has ID tags on his collar. The white device with the button in the middle is a GPS collar, which we put on many of our rescued dogs just in case. The GPS collar allows us to locate a dog quickly in the event of an escape. 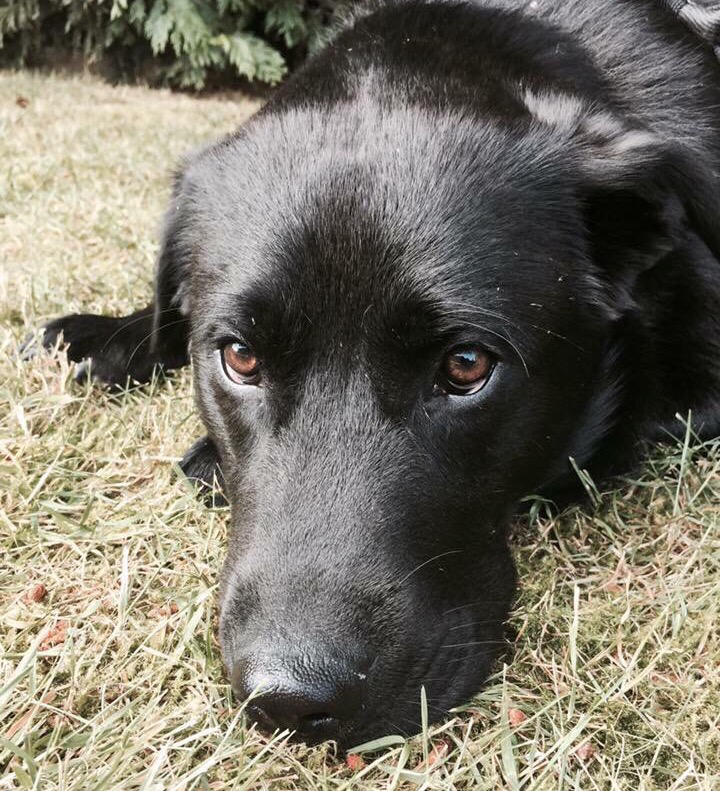 Your donations to UBS allow us to ensure the safety of dogs in our care. Gus was captured by team member Dina in August of 2013. He had been wandering a neighborhood of Mukilteo for weeks. Dina fostered him, and then adopted him. Bella--adopted Bella was the first official case for Useless Bay Sanctuary. 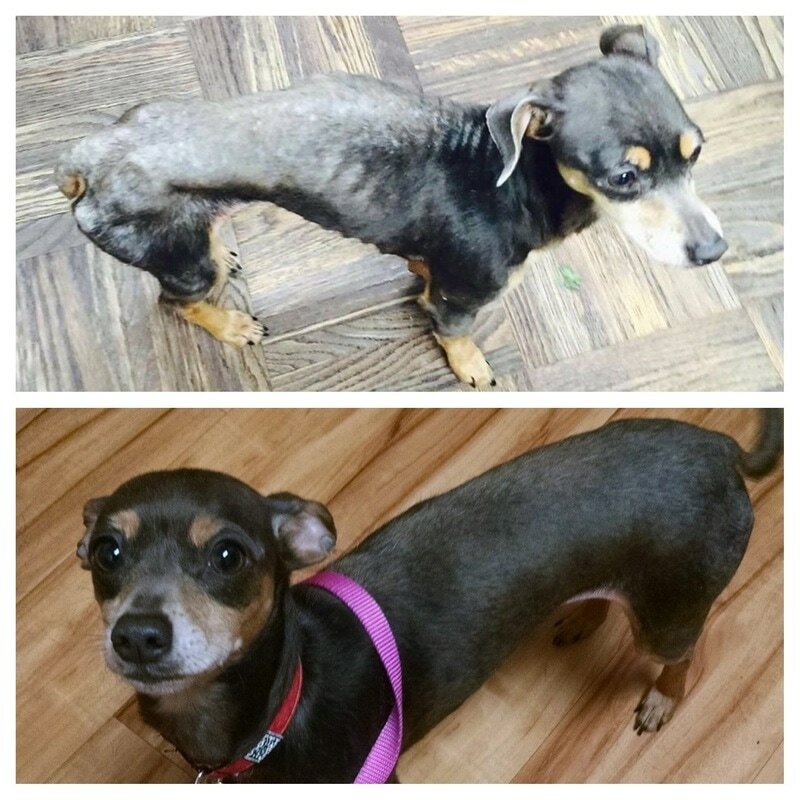 Our team members have been helping dogs like Bella for at least six years, and we formed the organization in August of 2013 so we could help stray dogs in a more organized and efficient way. Bella was not at all difficult to catch--she would just walk right up to anyone and be your new best friend. 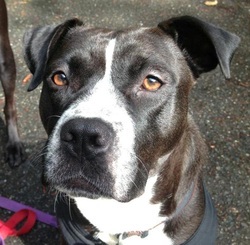 The reason Bella became a UBS dog, rather than just going to a shelter, is that she lived in a jurisdiction with a huge surplus of pit bull type dogs. There was the possibility that even though Bella was highly adoptable, she could be put to sleep because she might be a pit bull. UBS stepped in to assure her safety. We notified the shelter that we had her, and we spent more than a month looking for her previous owner. Bella is now in a great home where she is loved every day. Lucy--adopted We learned of Lucy through craigslist, where an ad reported she was running around Bellevue near the Microsoft campus. We worked with a homeowner in the area to catch Lucy. She wouldn't let anyone get too close to her, but she liked to hang out in this one particular yard. We coached the homeowner on using their house as a trap. They fed Lucy closer and closer to the front door, eventually moving her food inside the front door. When they got Lucy eating well inside the house, someone went around the outside and shut the door. Once trapped, Lucy relaxed and allowed people to pet her. UBS searched for Lucy's previous owner, but never got a response. 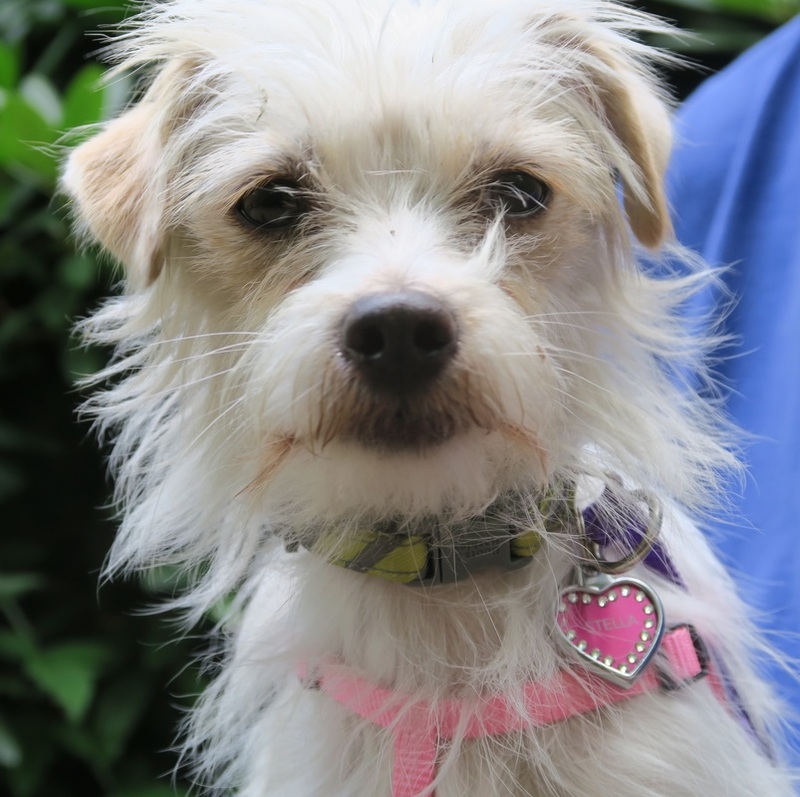 Lucy has been adopted, and now plays with her new sister-dog every day in a secure fenced yard.